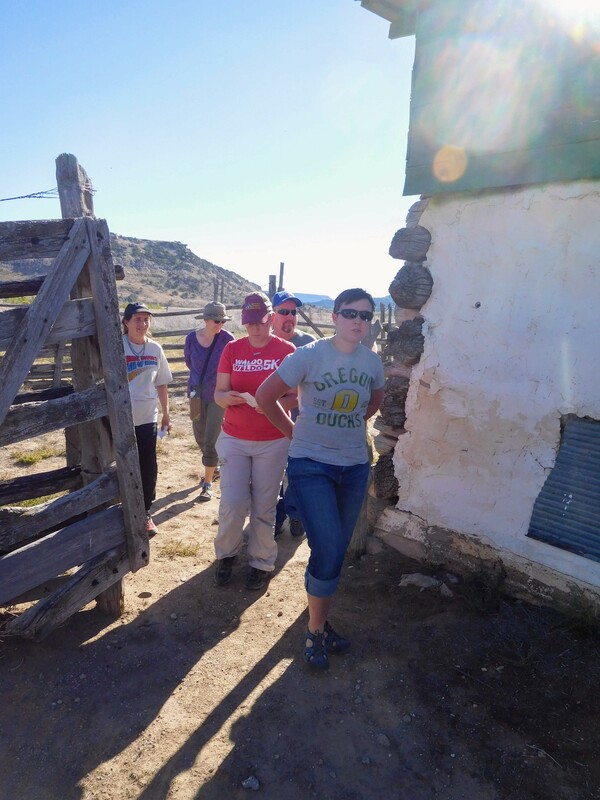 Enjoy these photos from our trip ! 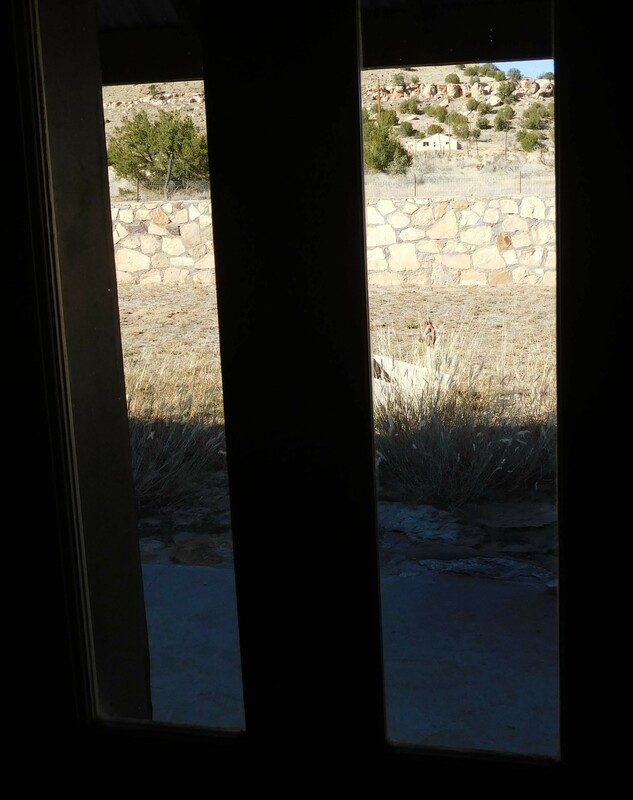 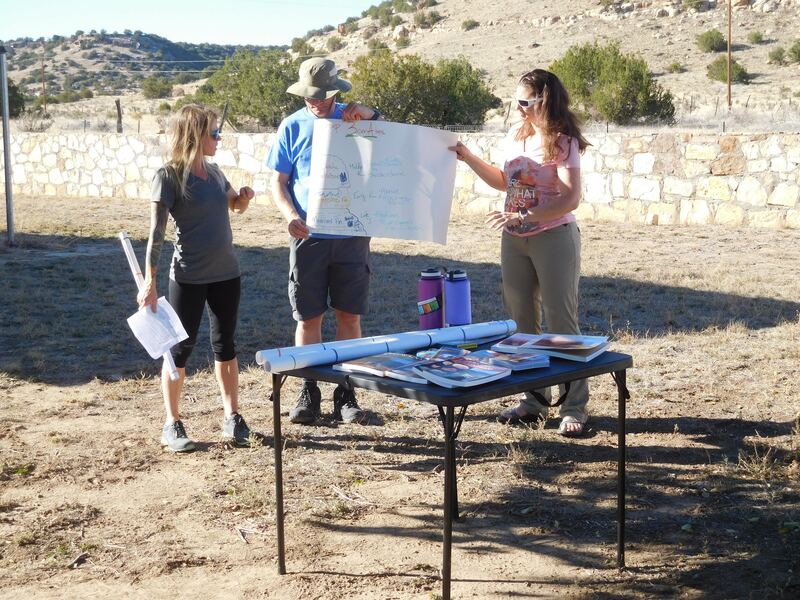 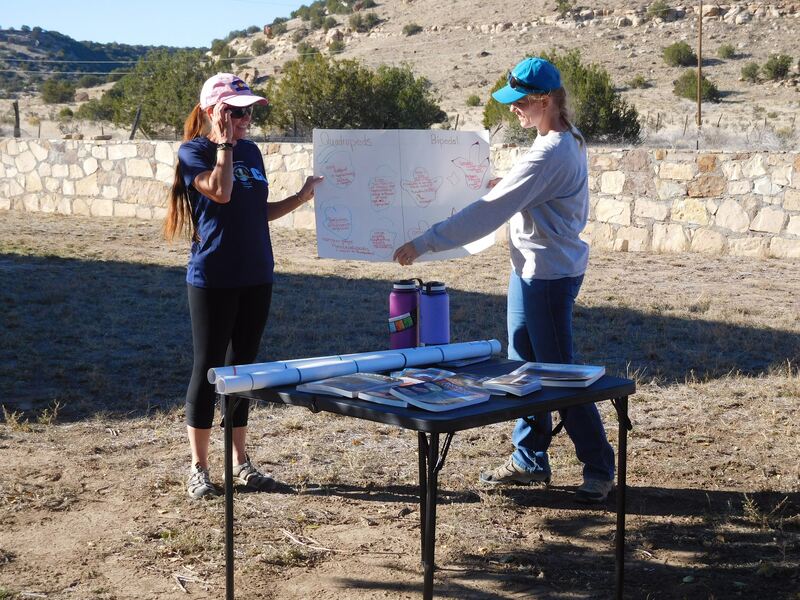 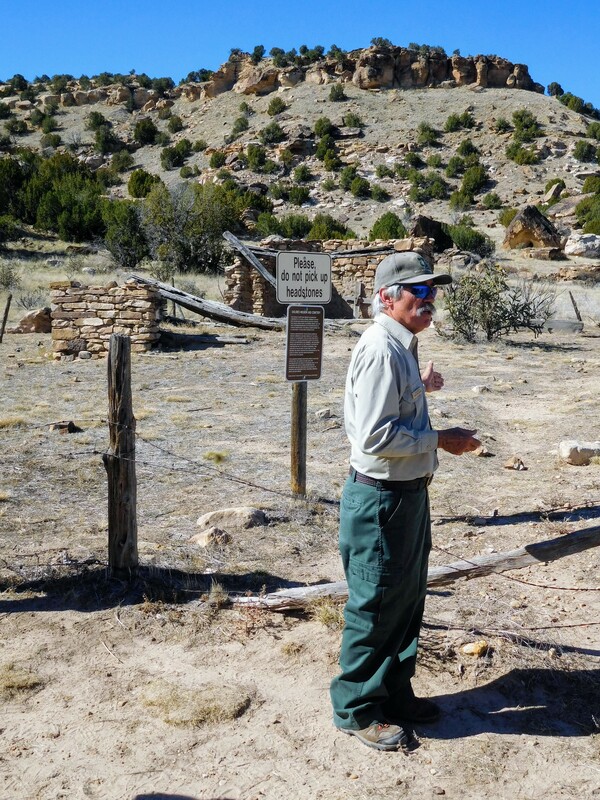 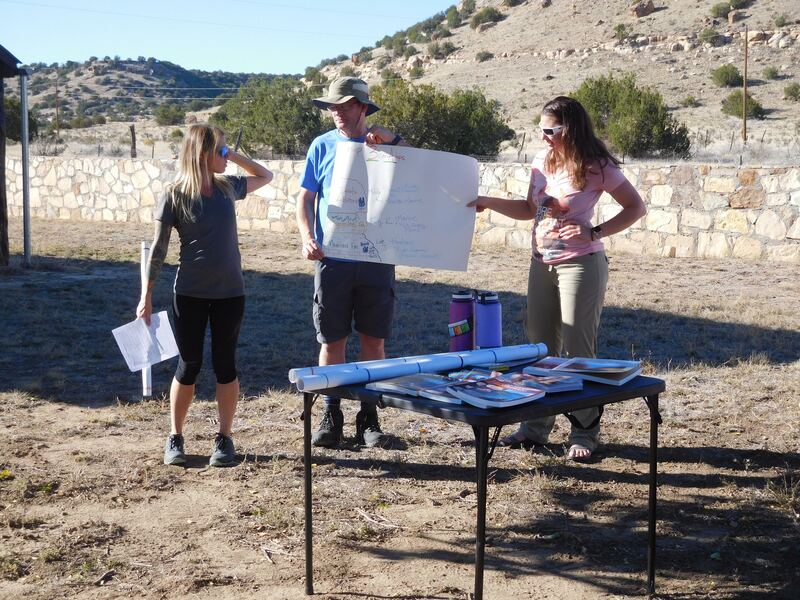 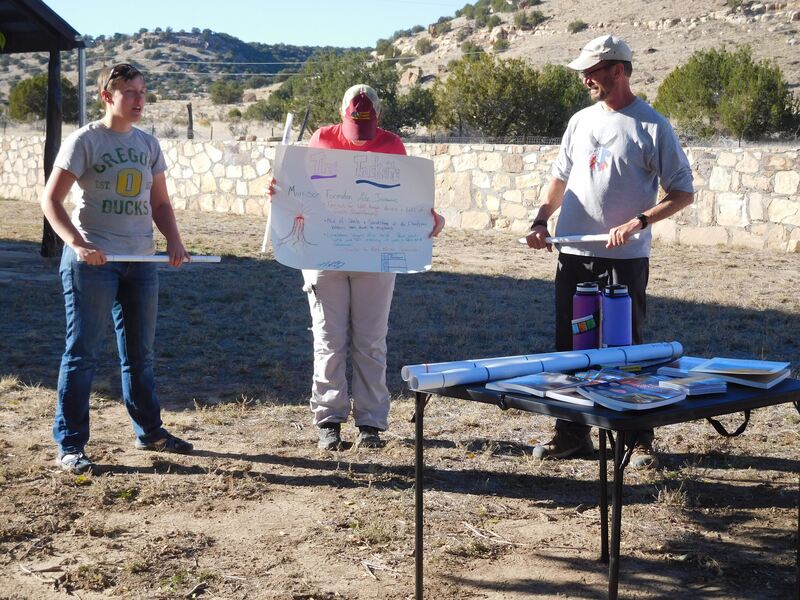 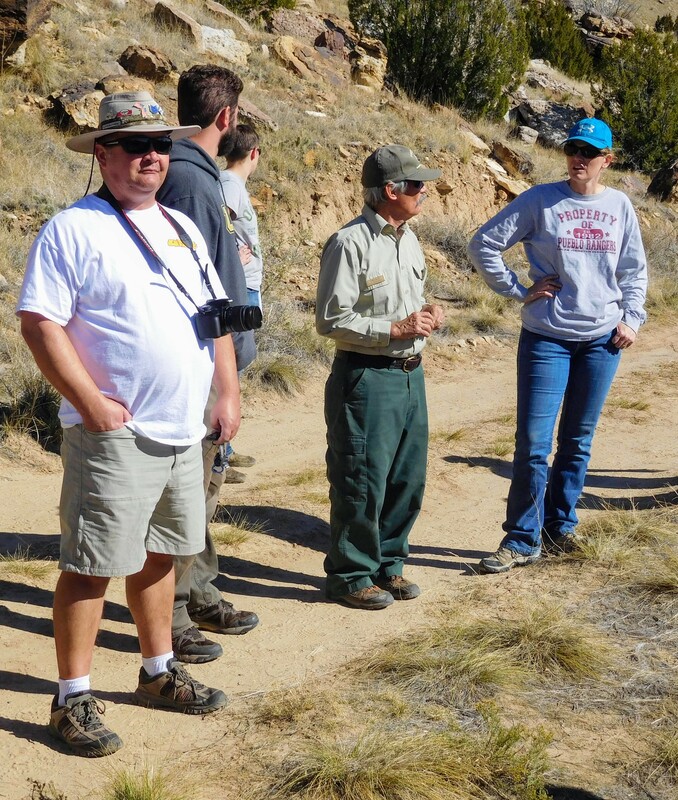 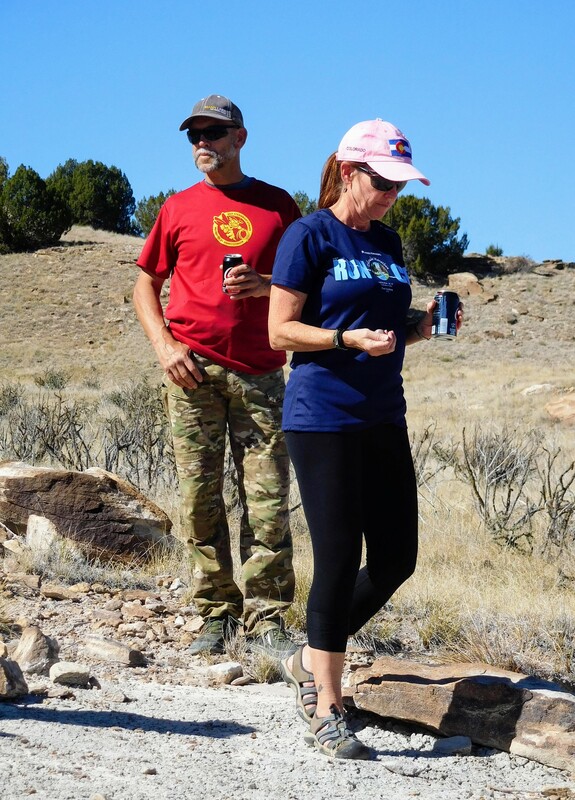 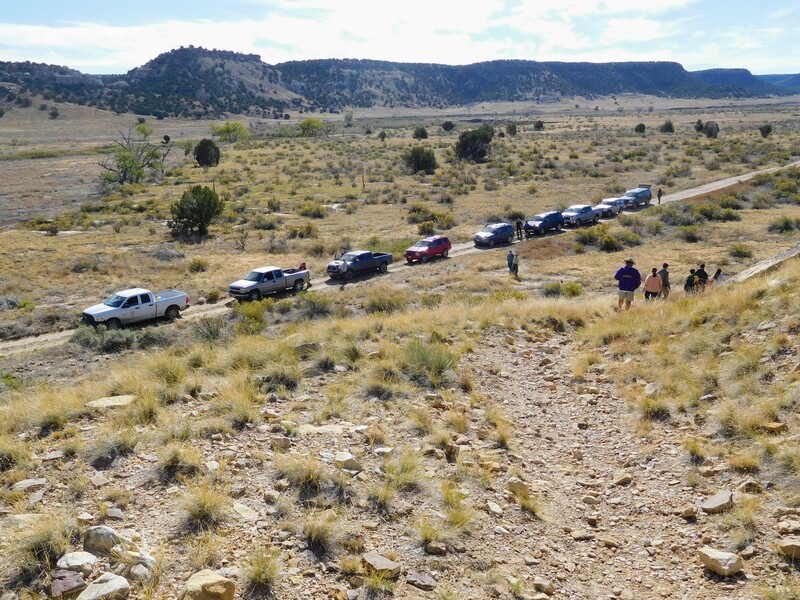 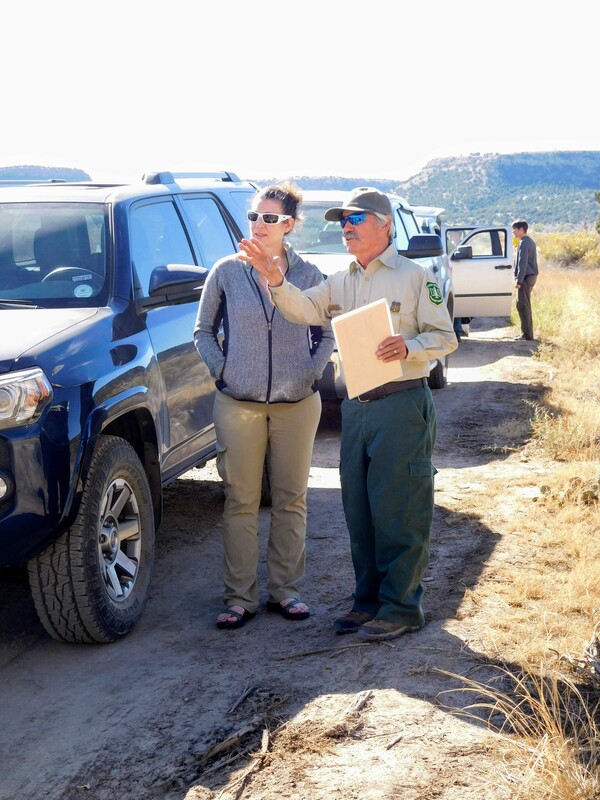 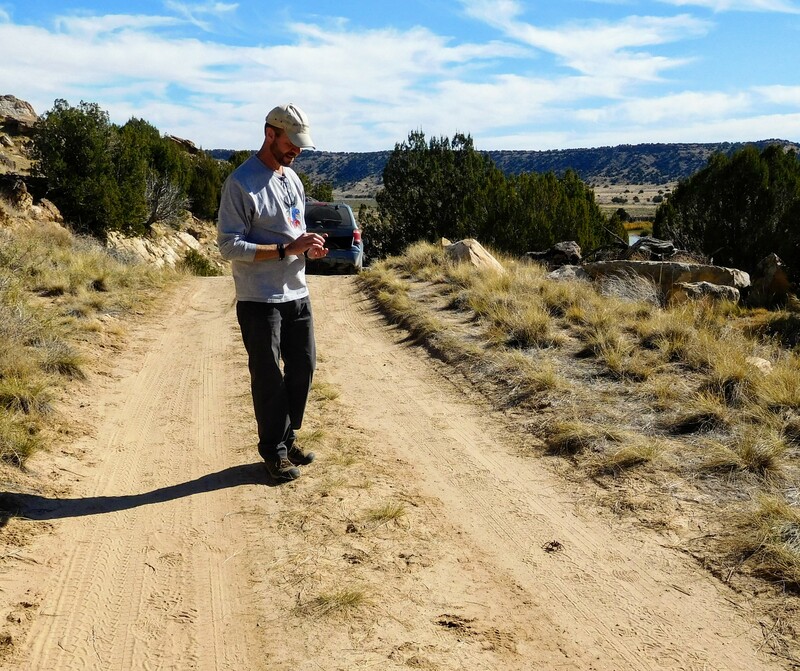 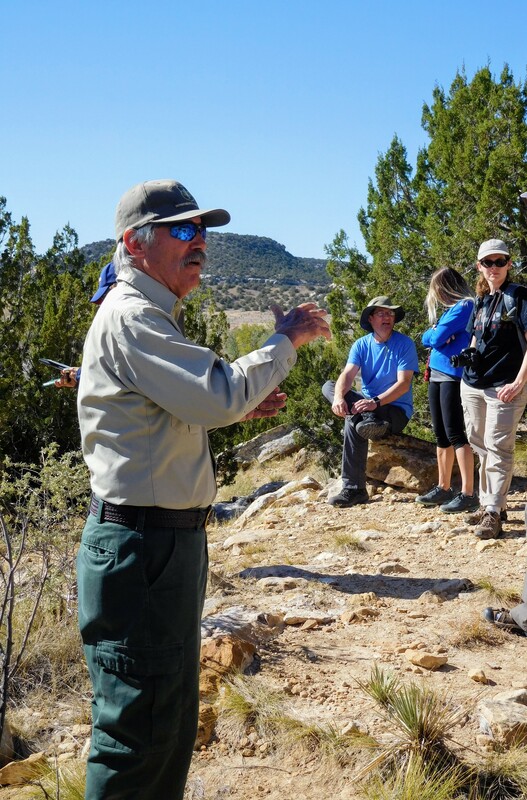 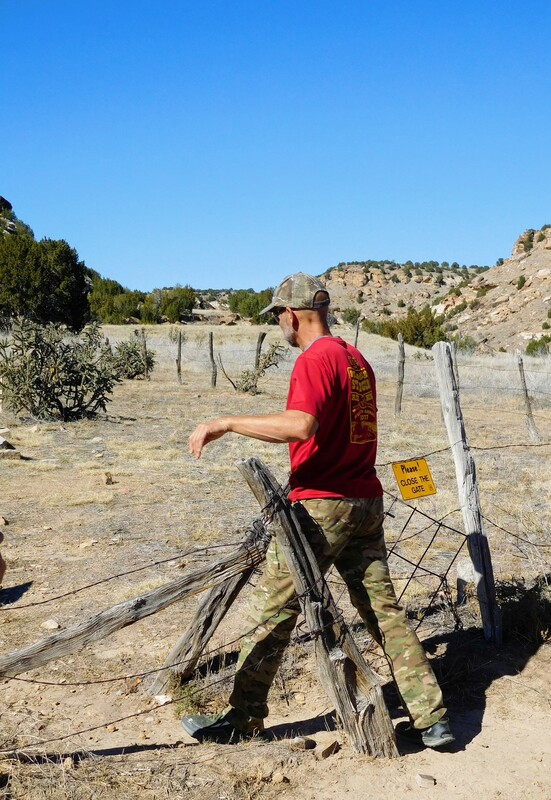 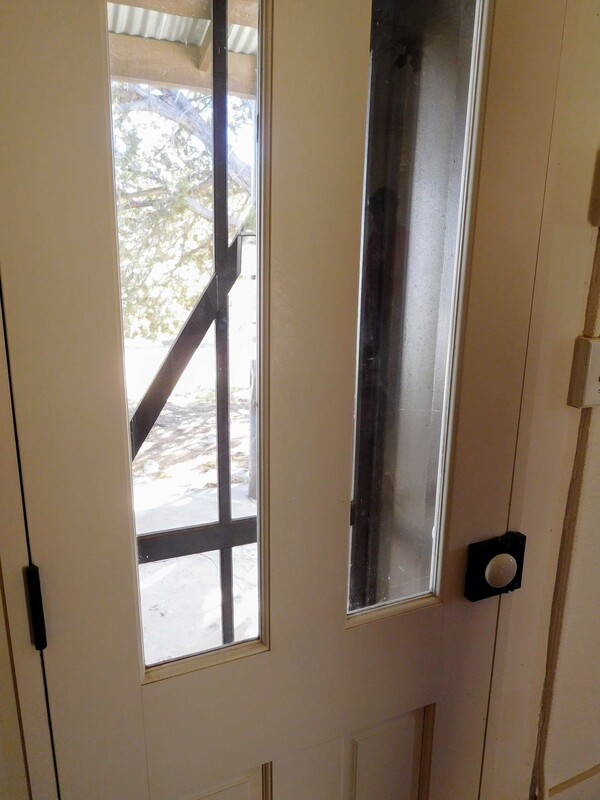 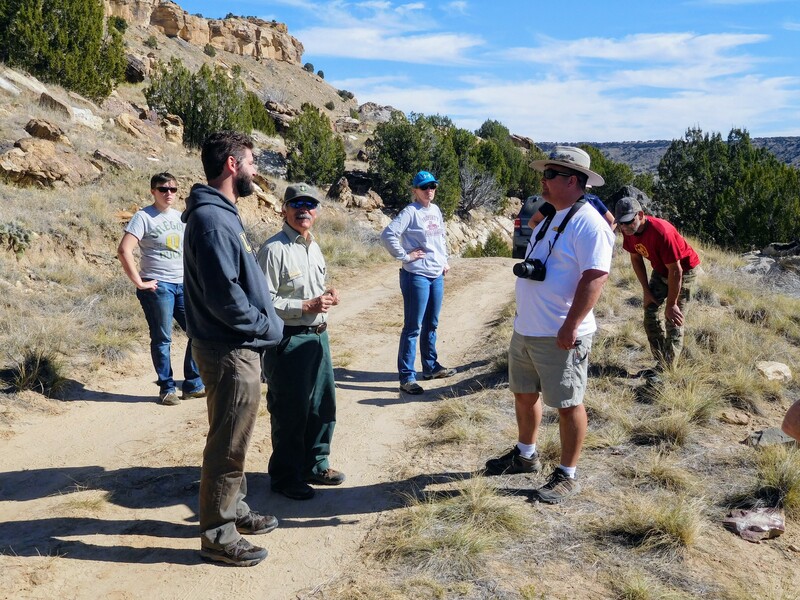 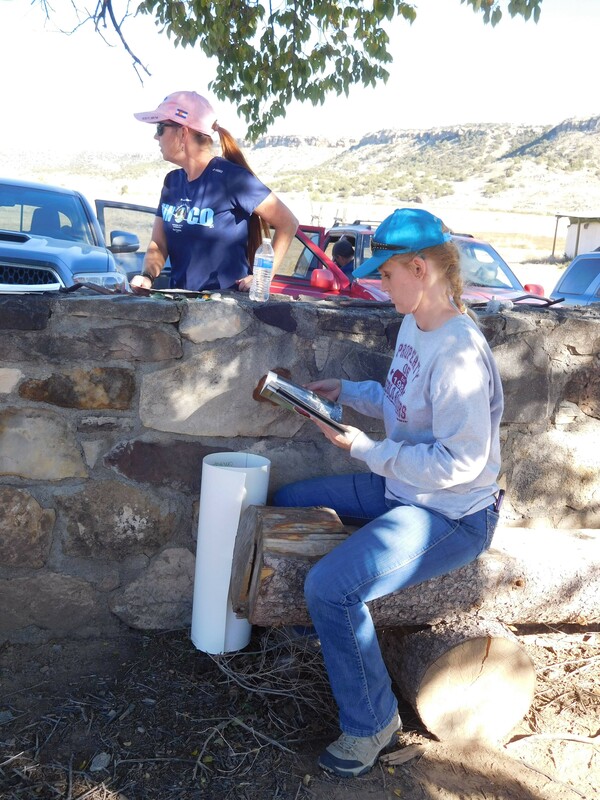 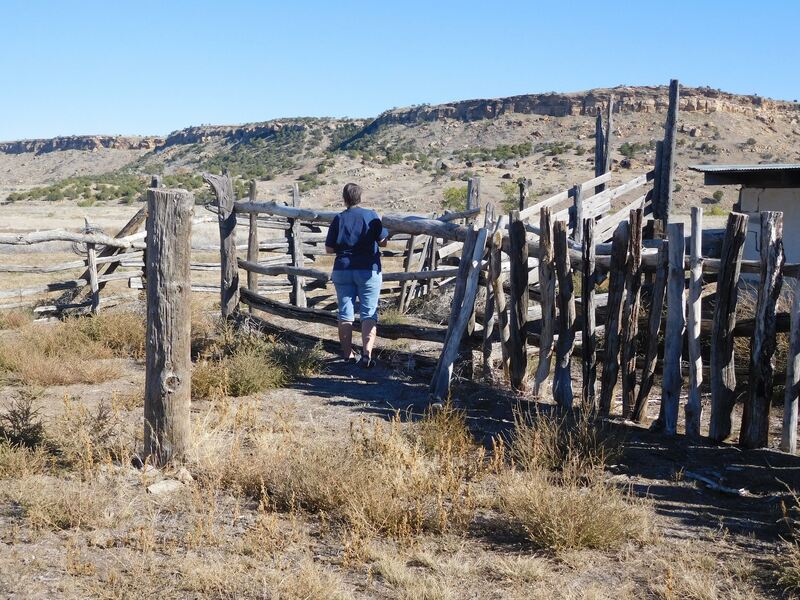 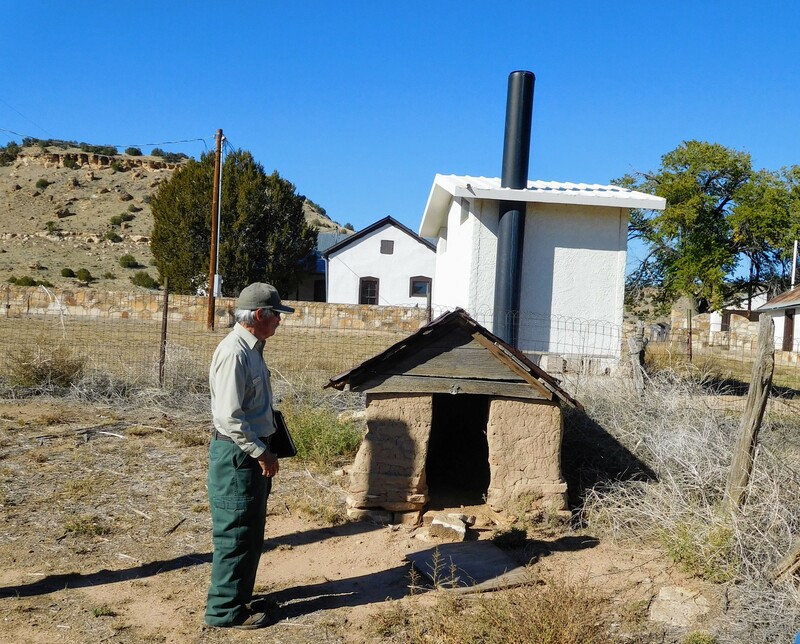 Picket Wire Canyonlands – A Trip through Time ! 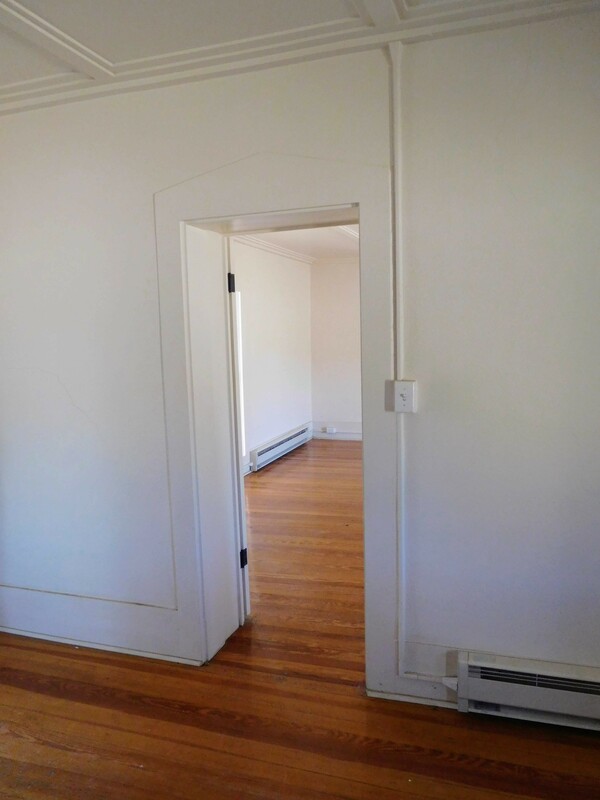 – Click HERE for the flyer ! 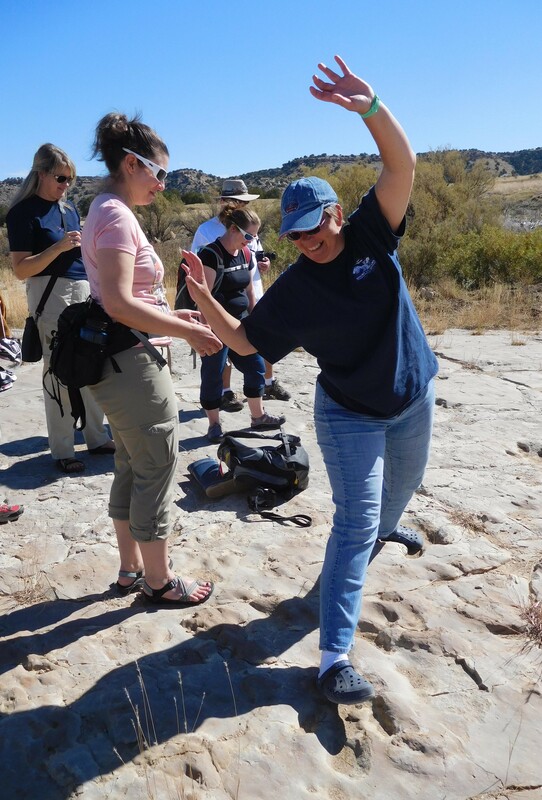 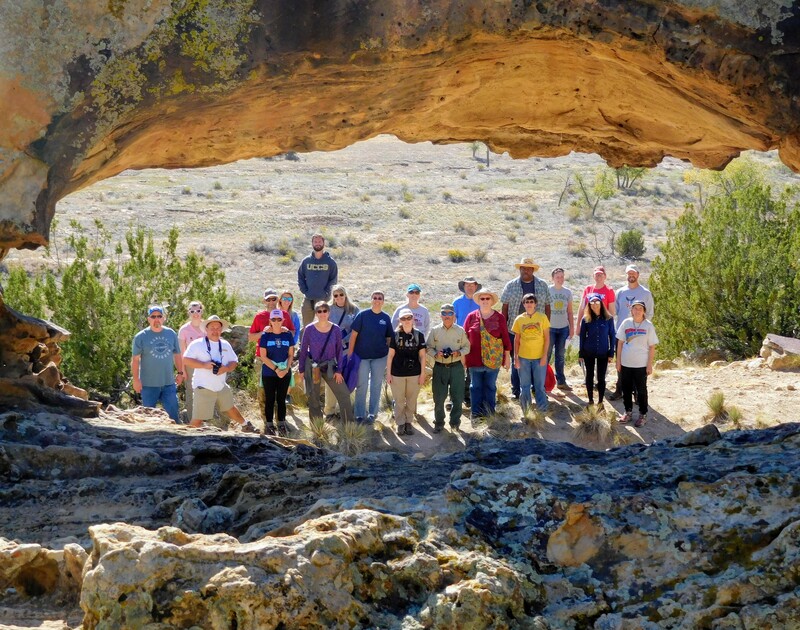 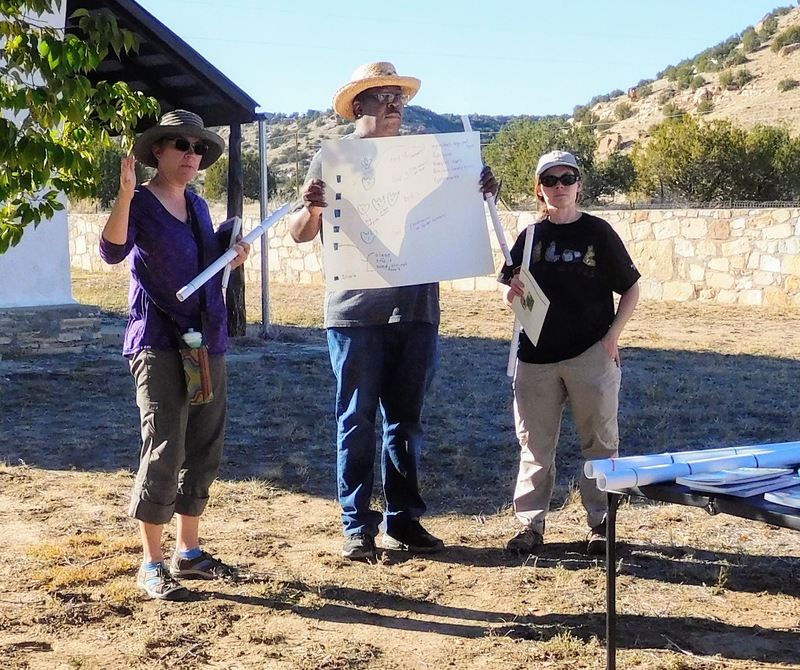 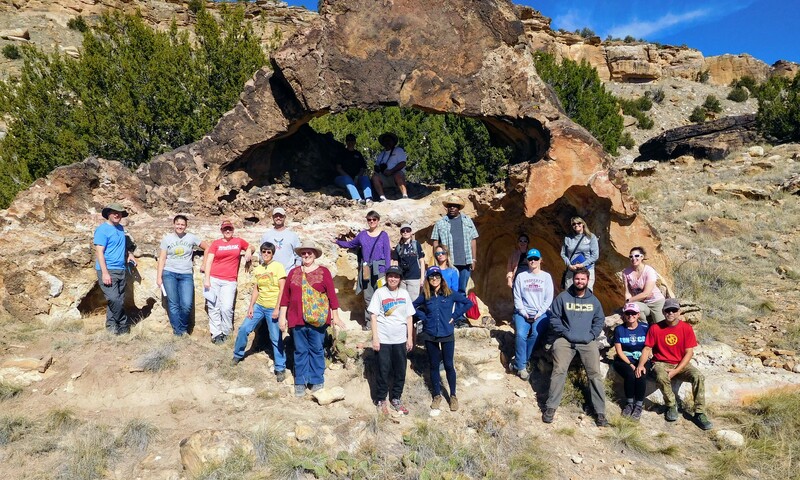 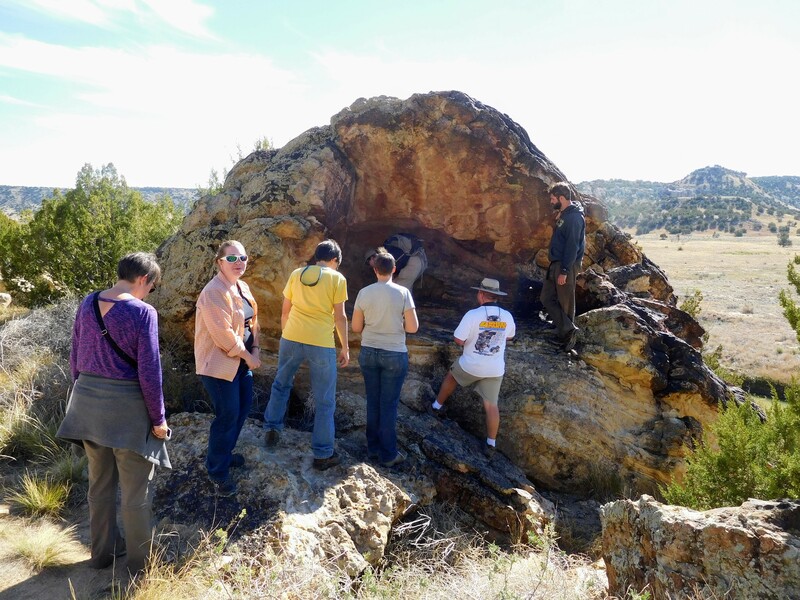 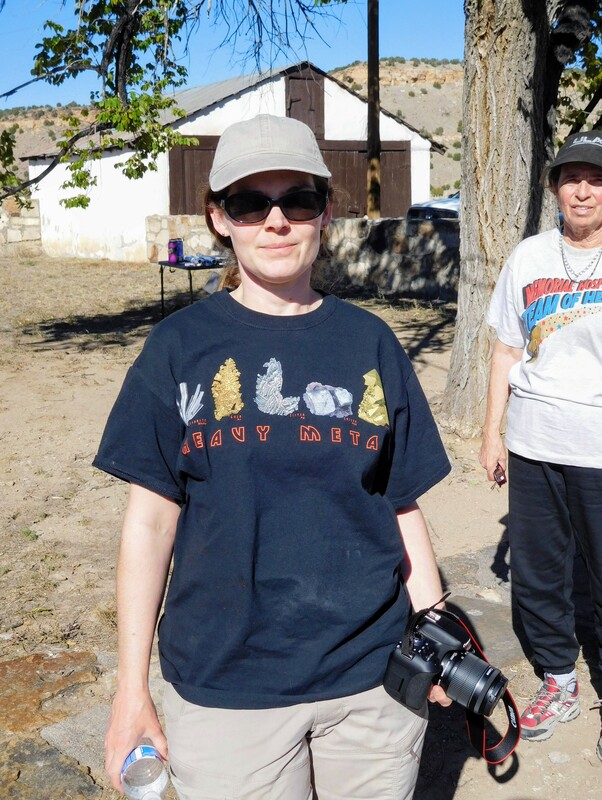 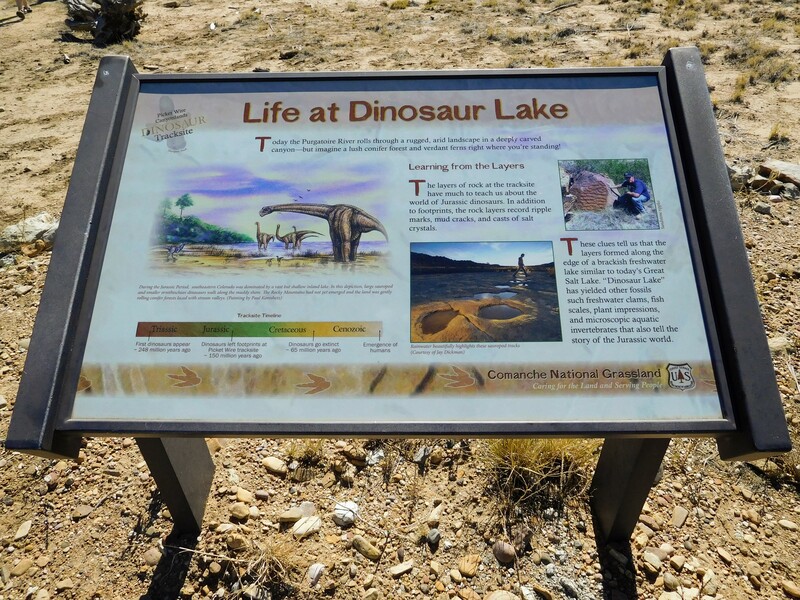 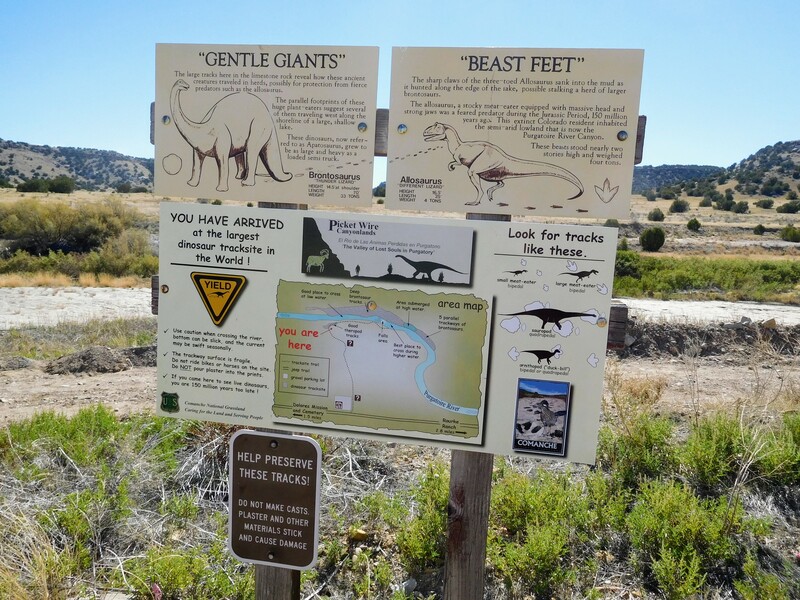 Each participant will receive paid entry to the guided auto tour (~ $18 value) and each teacher will receive a copy of the book -Dinosaur Lake: The Story of the Purgatoire Valley Dinosaur Tracksite Area (~$12 value). 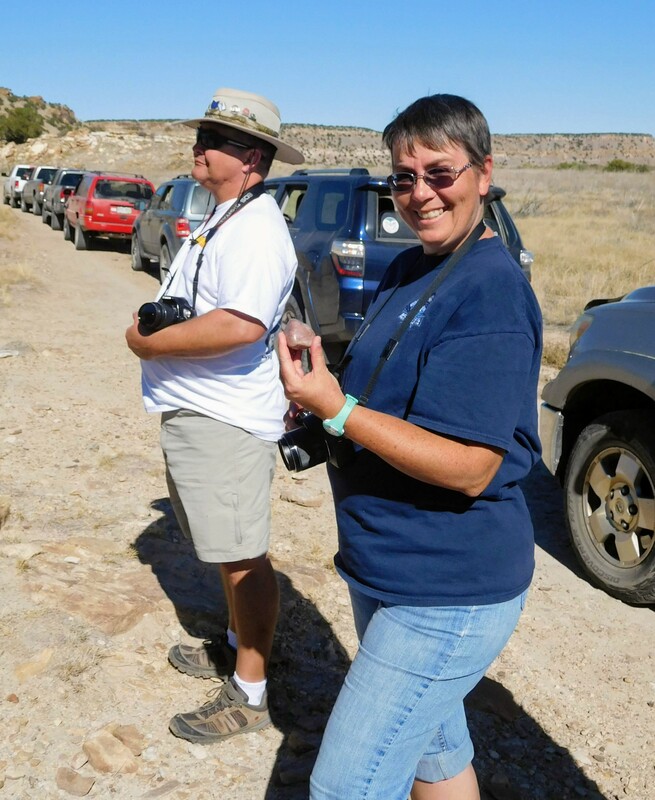 There will also be a number of door prizes awarded. 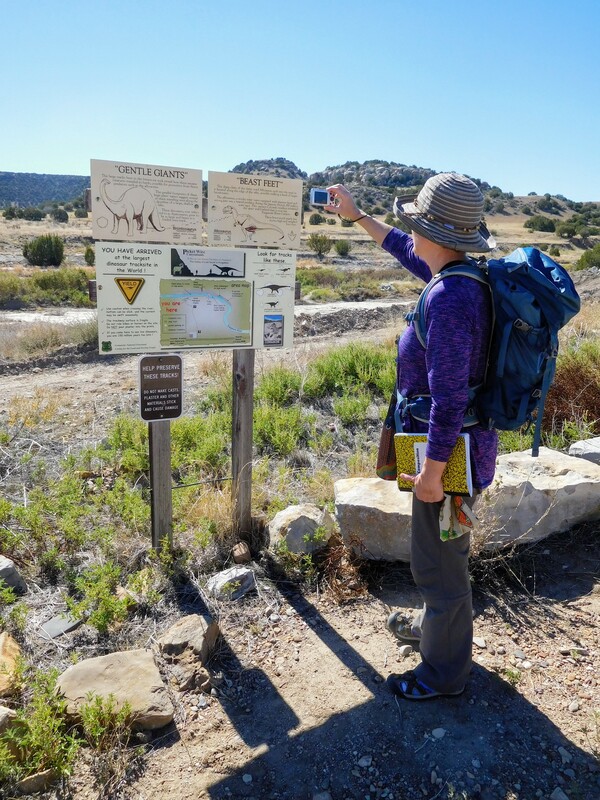 Participants can pick up a copy of this brochure at the USFS office in La Junta where we will meet before our tour departs. 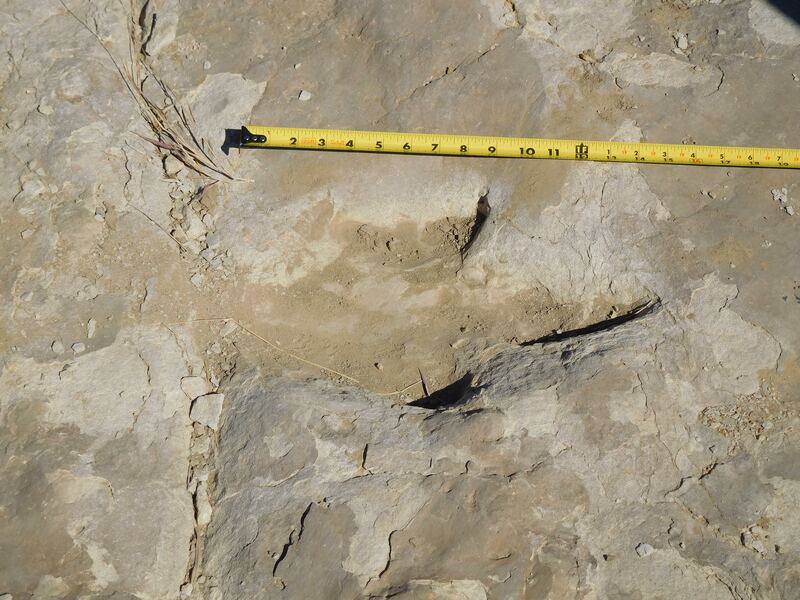 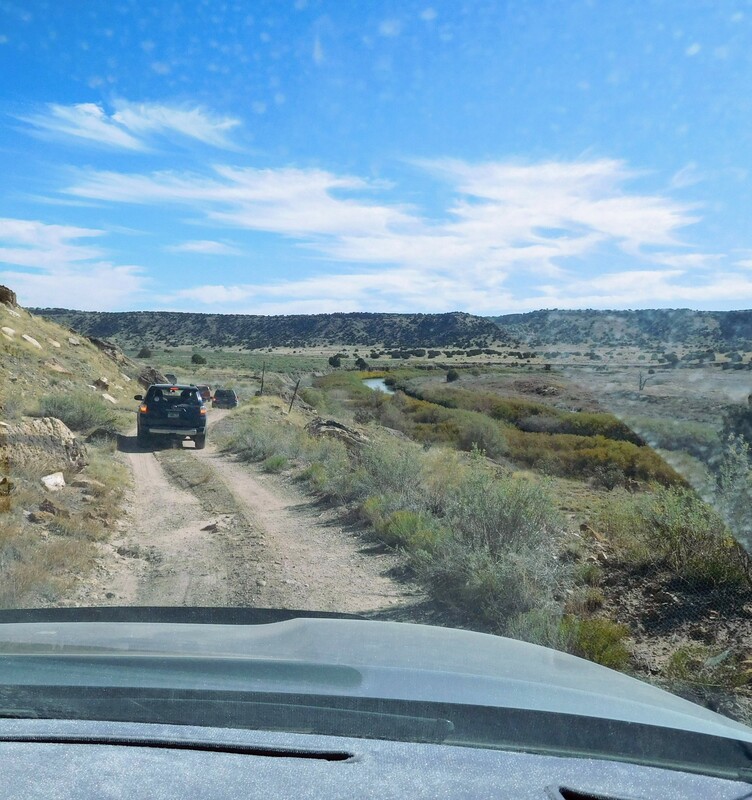 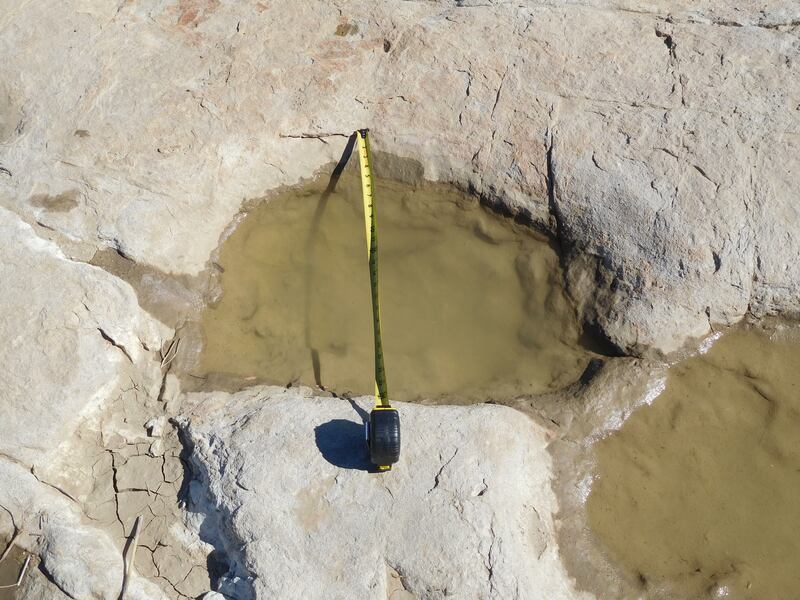 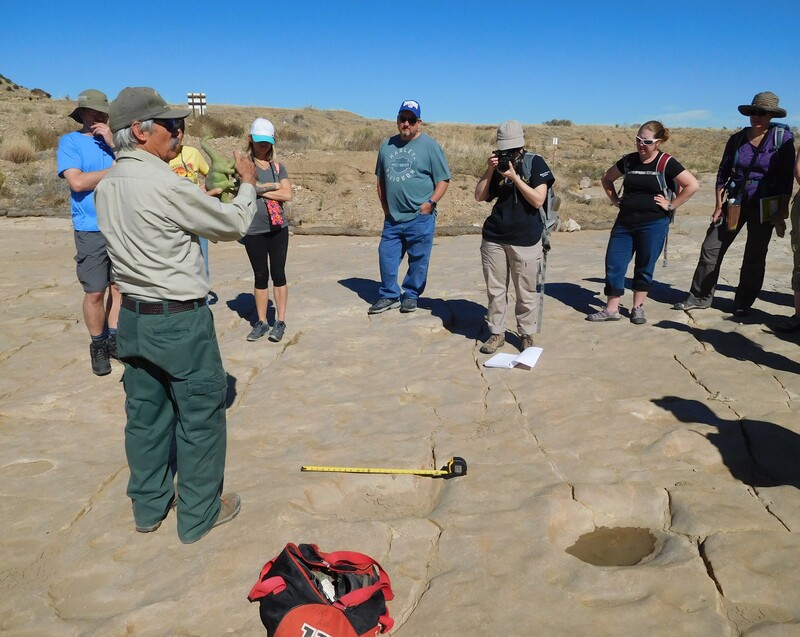 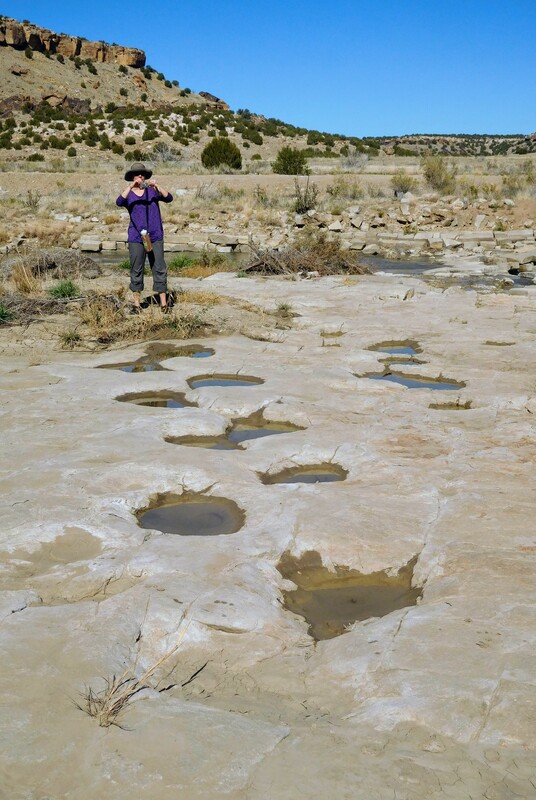 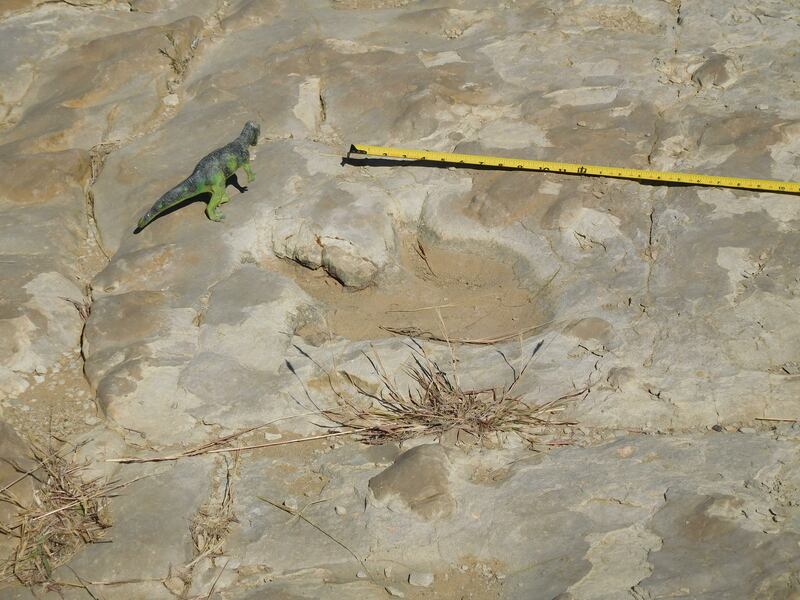 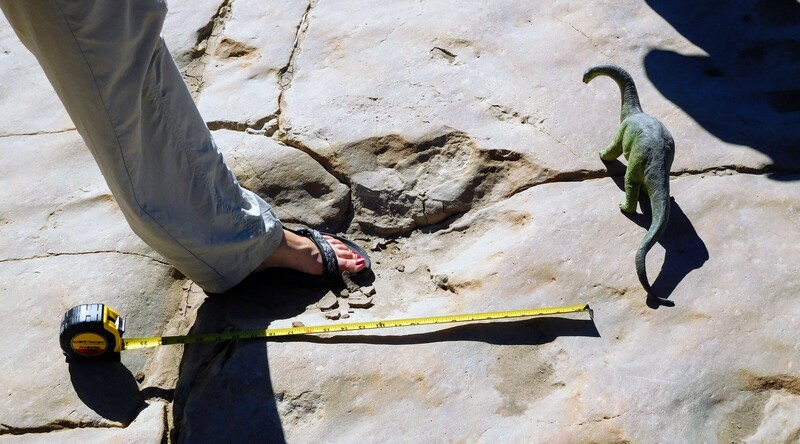 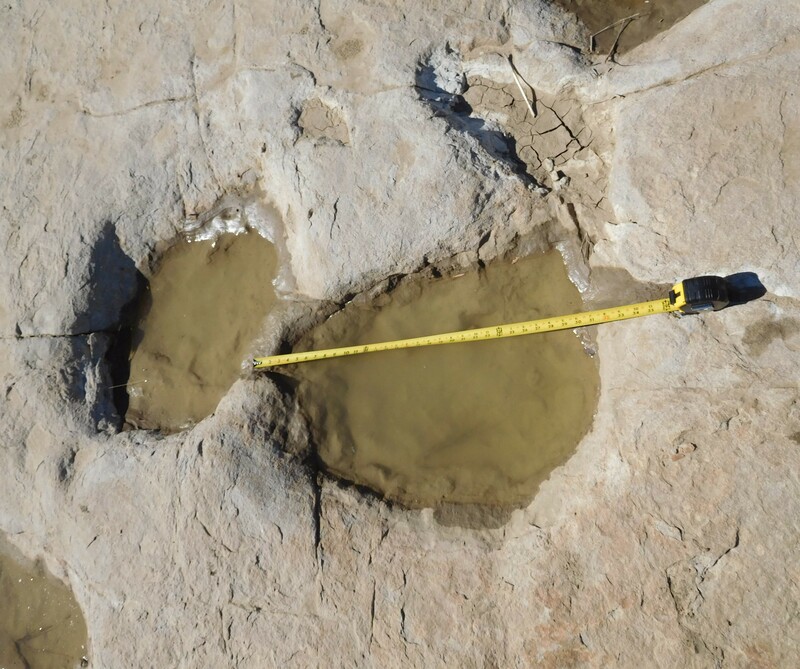 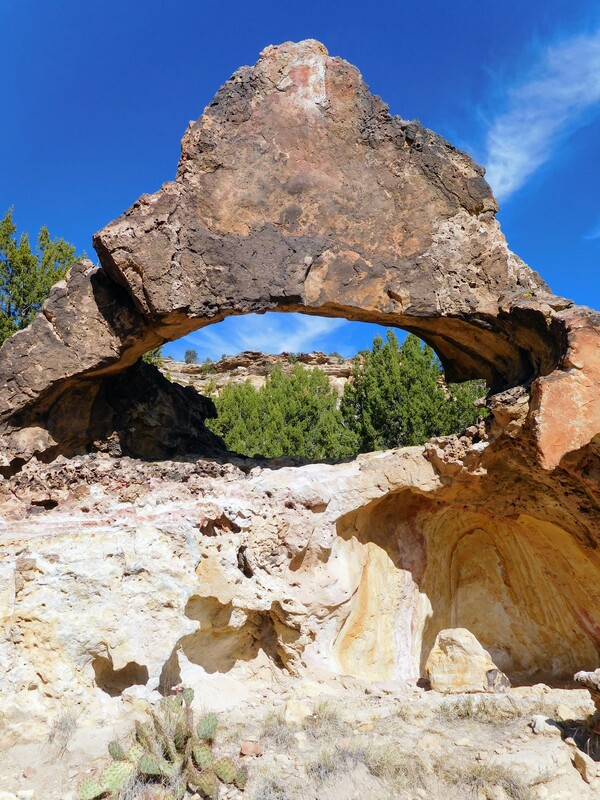 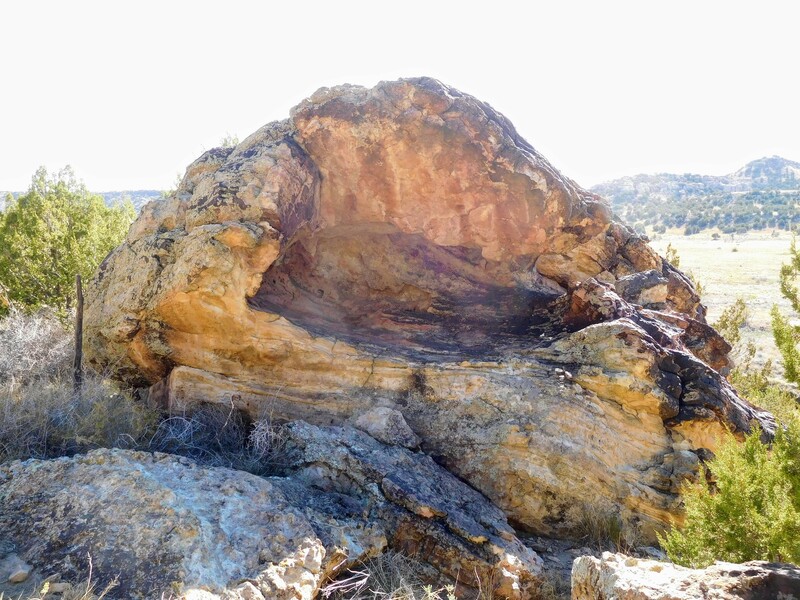 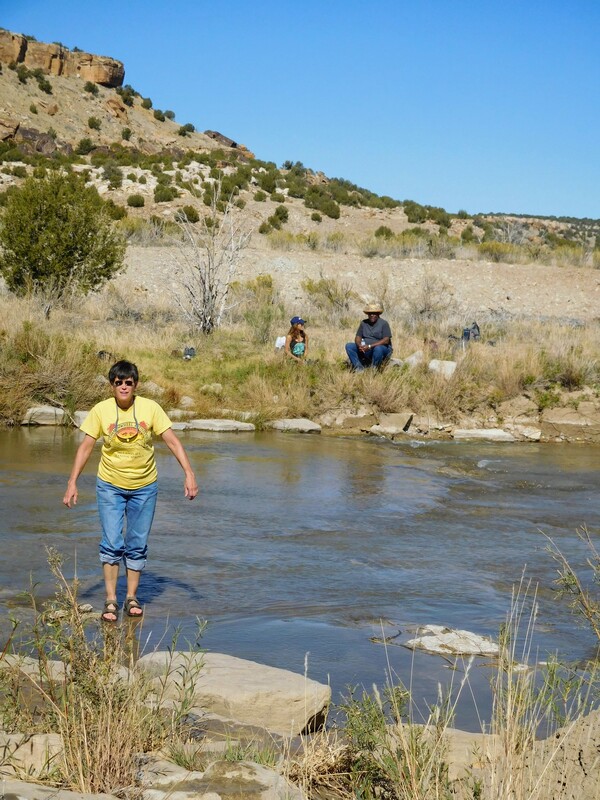 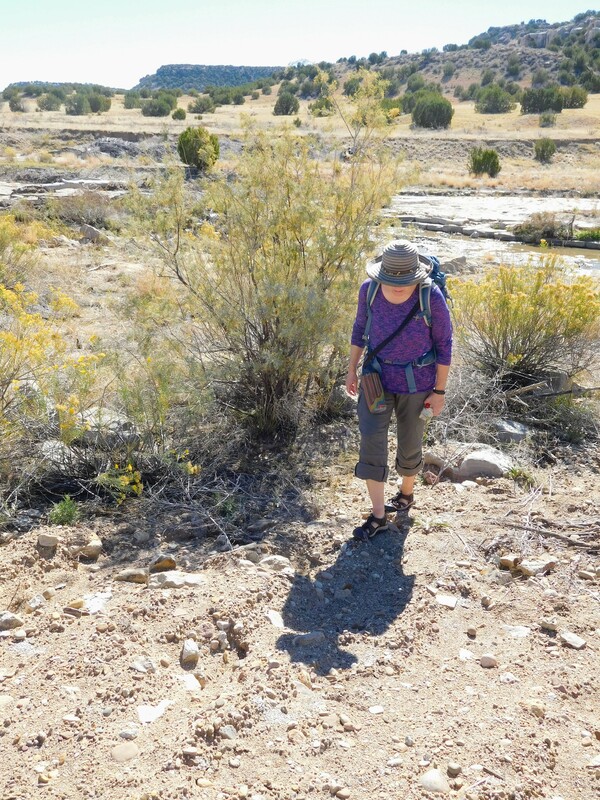 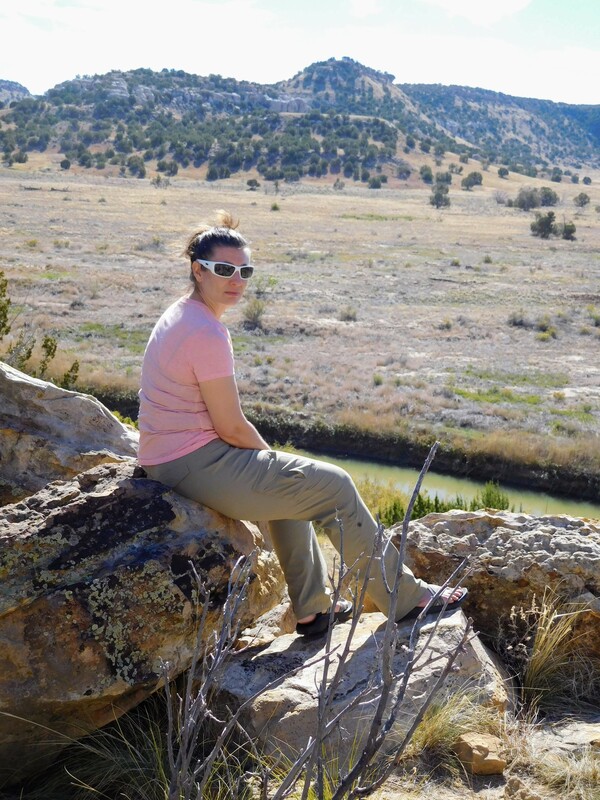 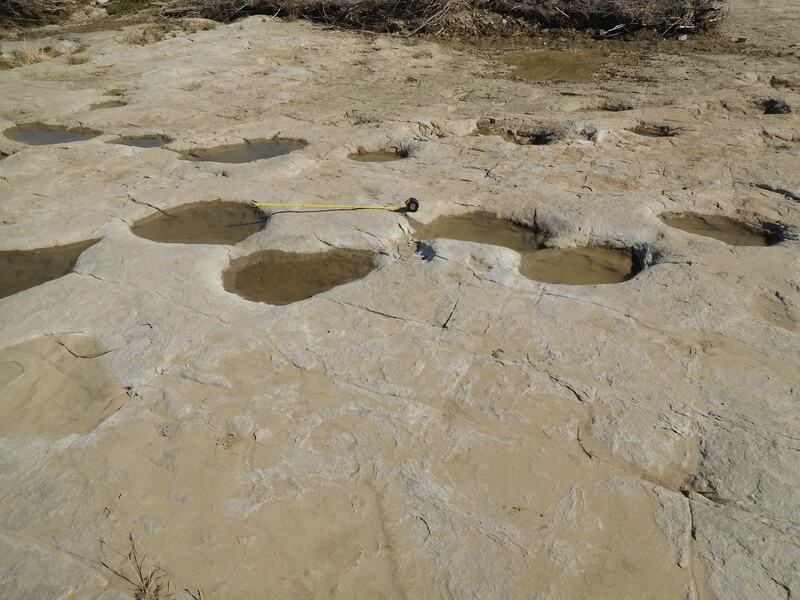 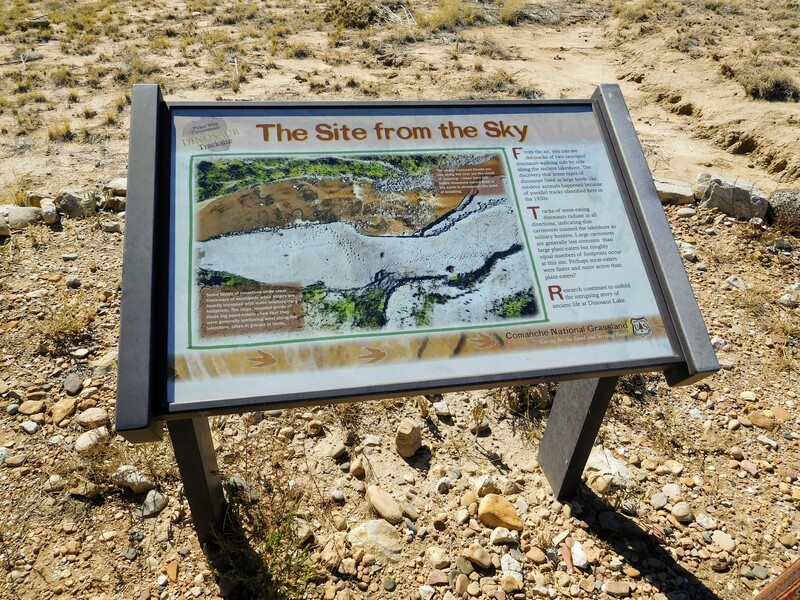 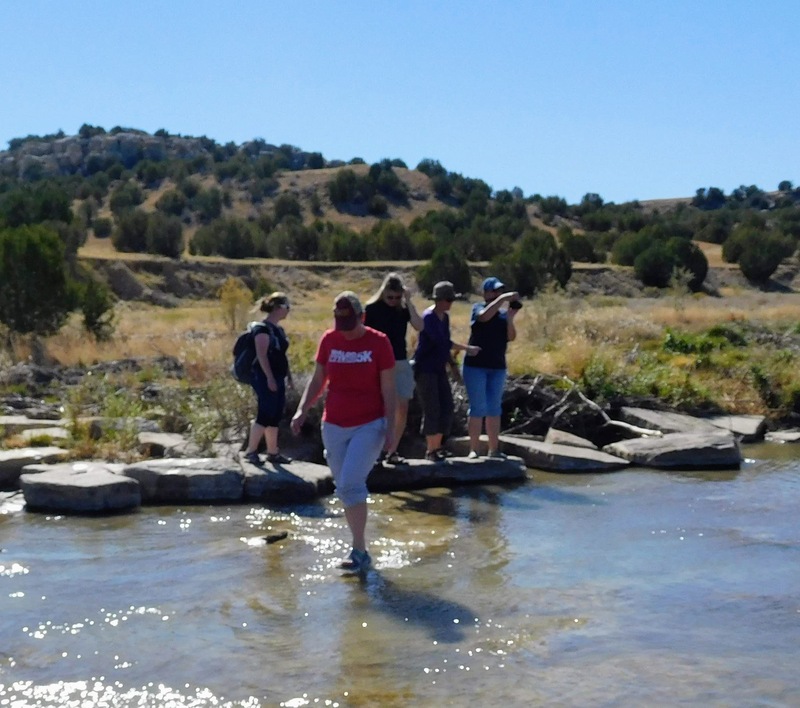 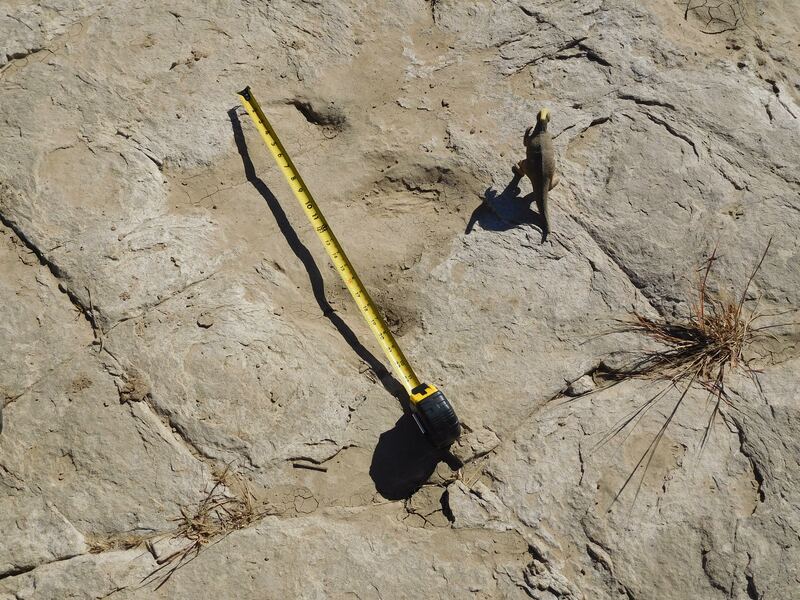 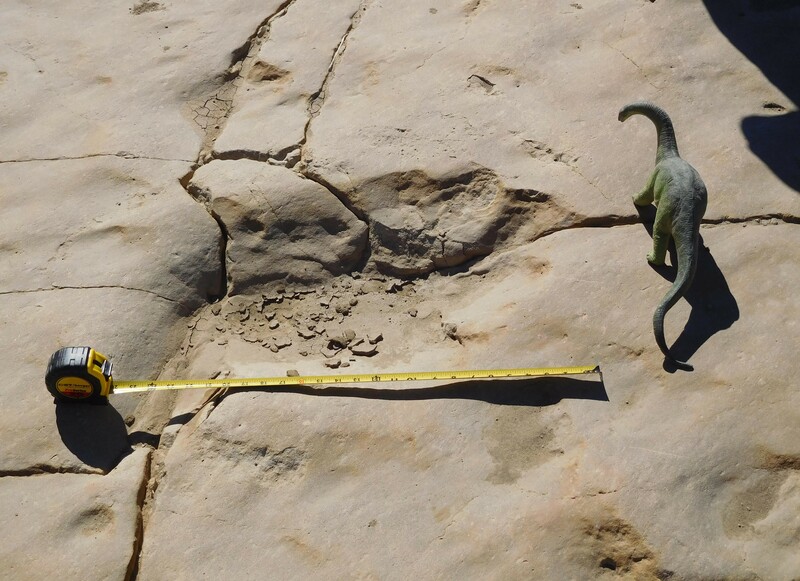 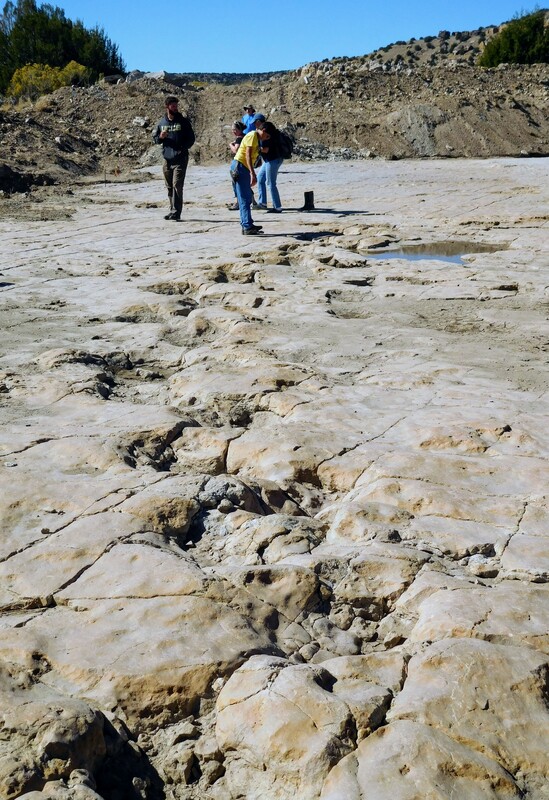 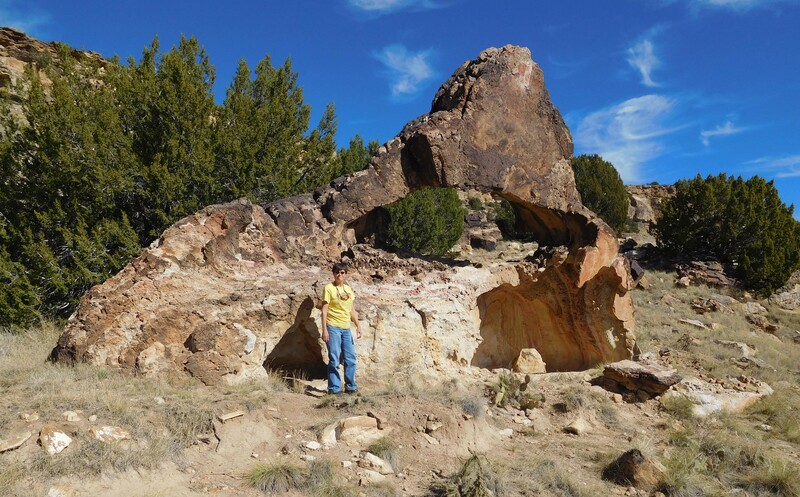 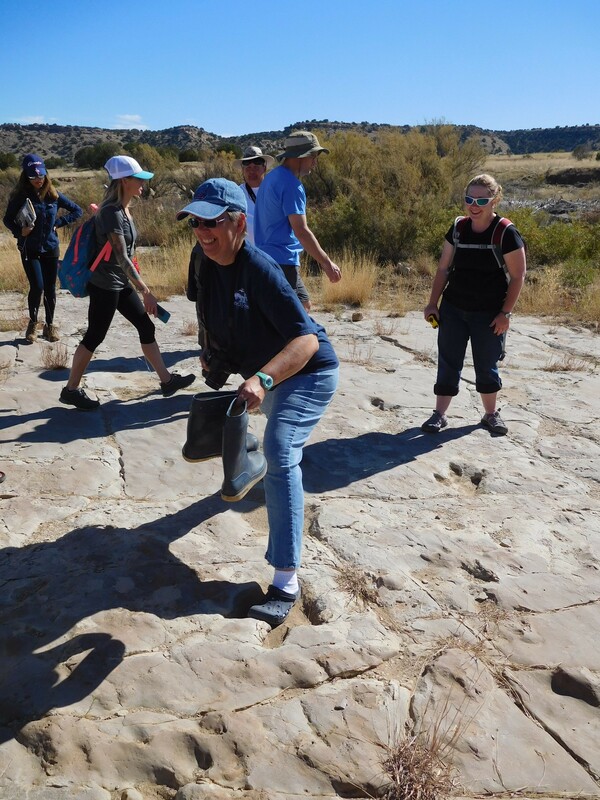 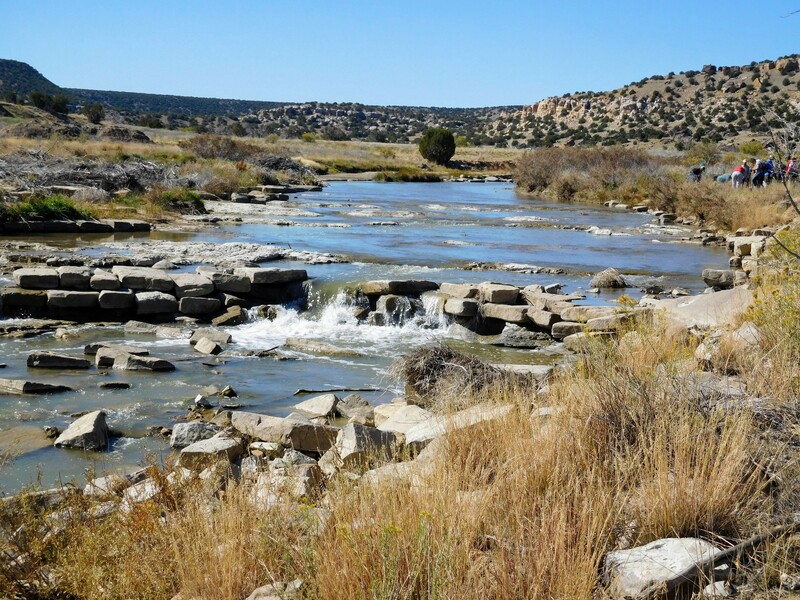 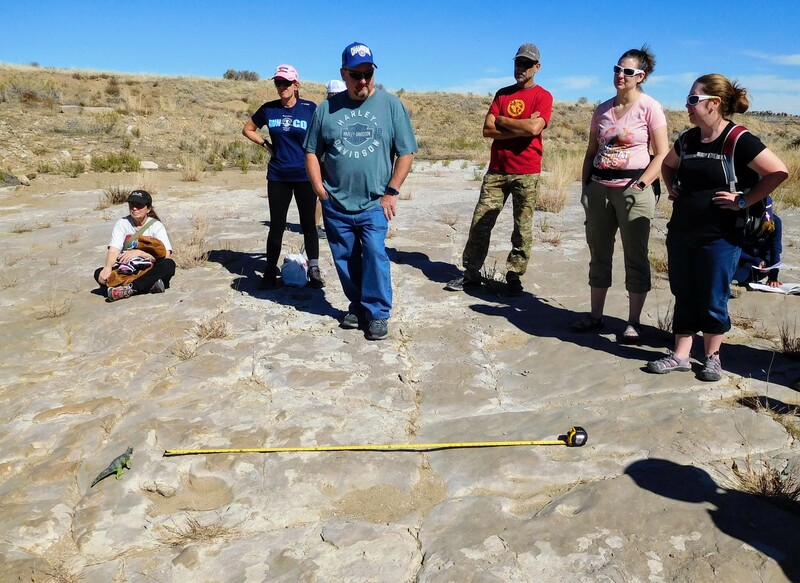 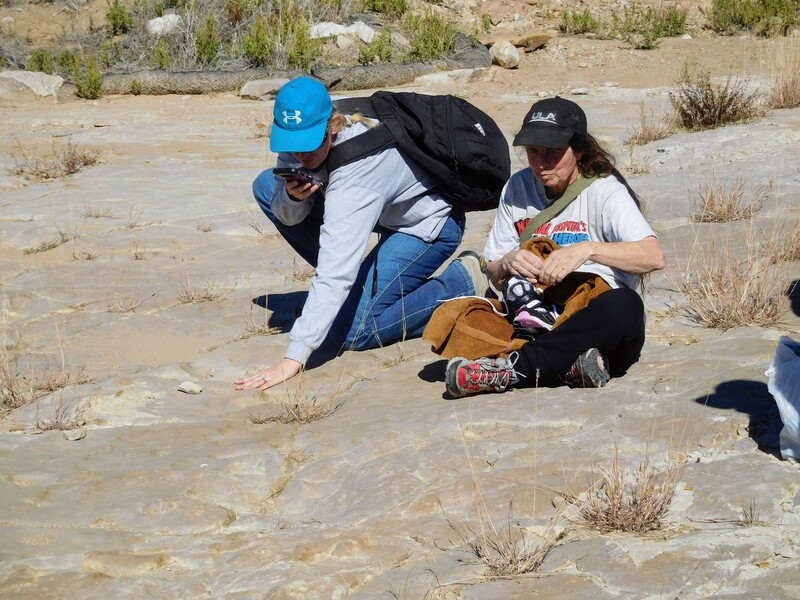 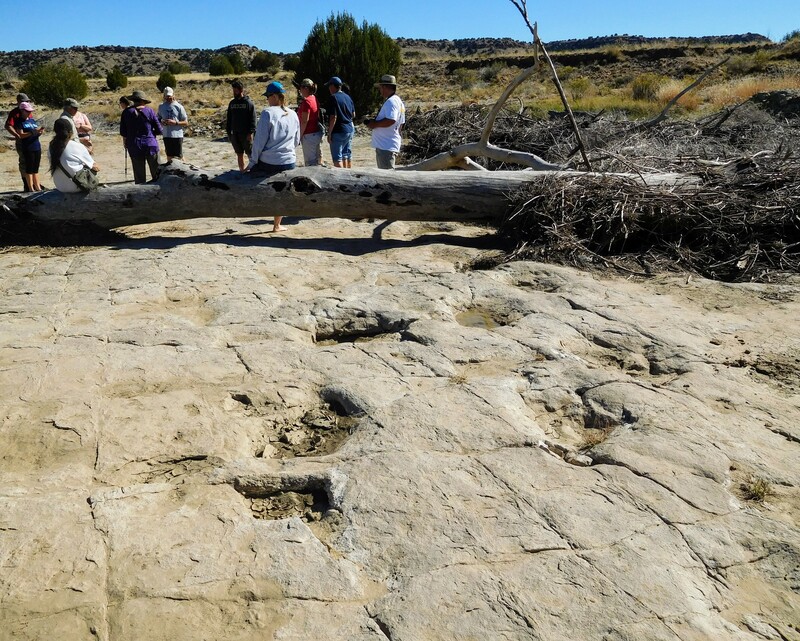 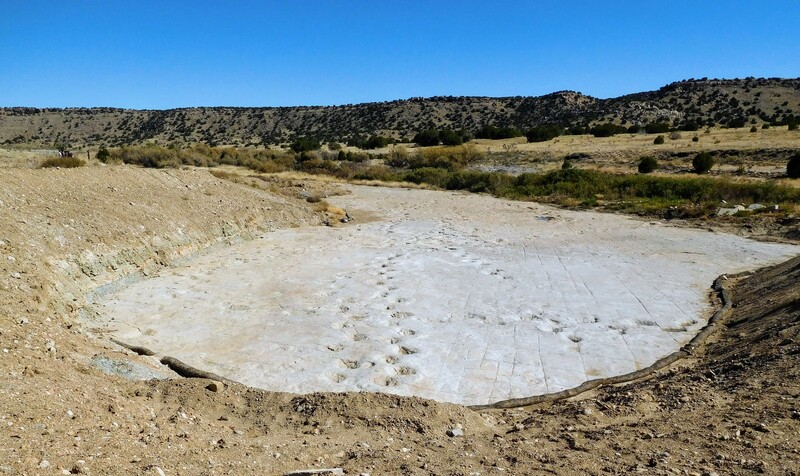 Located on the banks of the Purgatoire River in southeast Colorado, this dinosaur tracksite is the largest documented assemblage of trackways in North America. 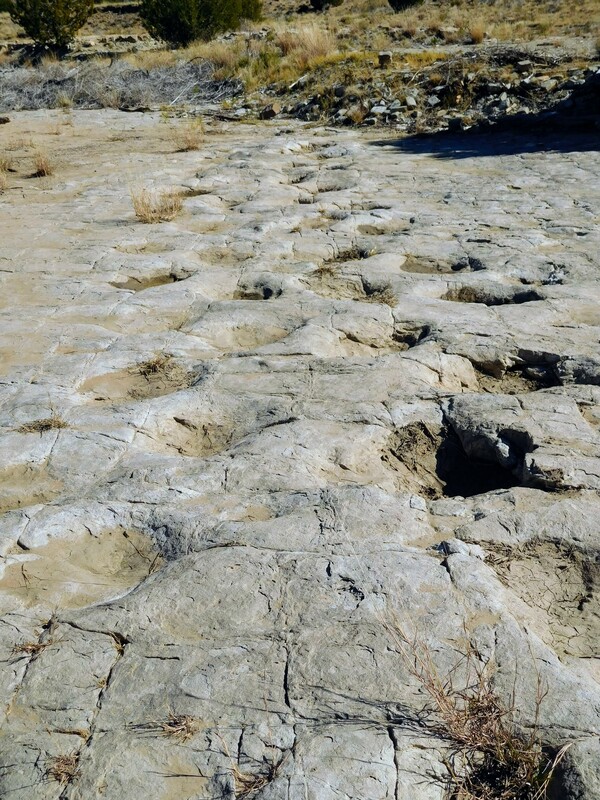 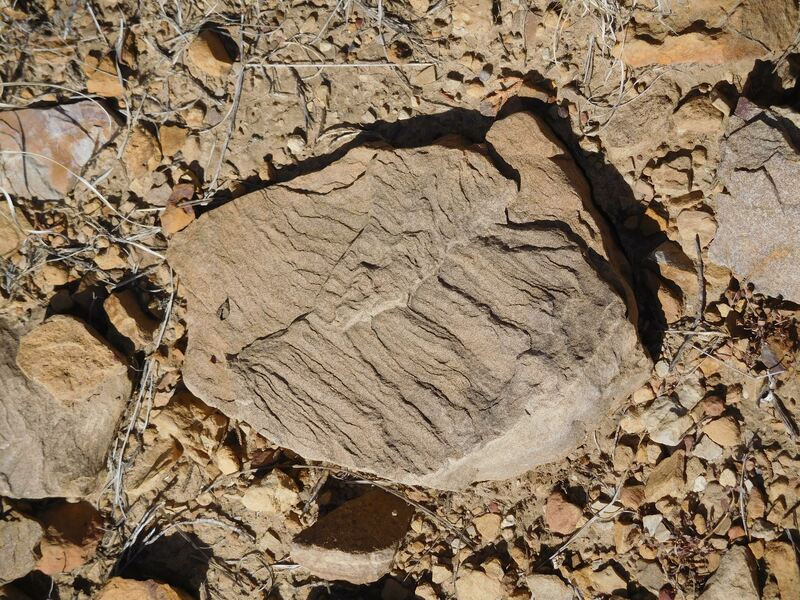 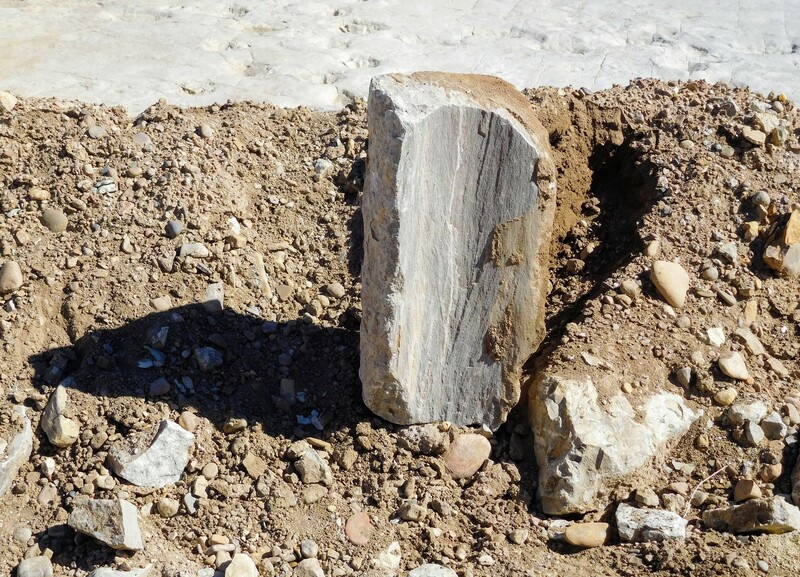 Over 1900 prints in 130 separate trackways extend across a quarter mile expanse of bedrock. 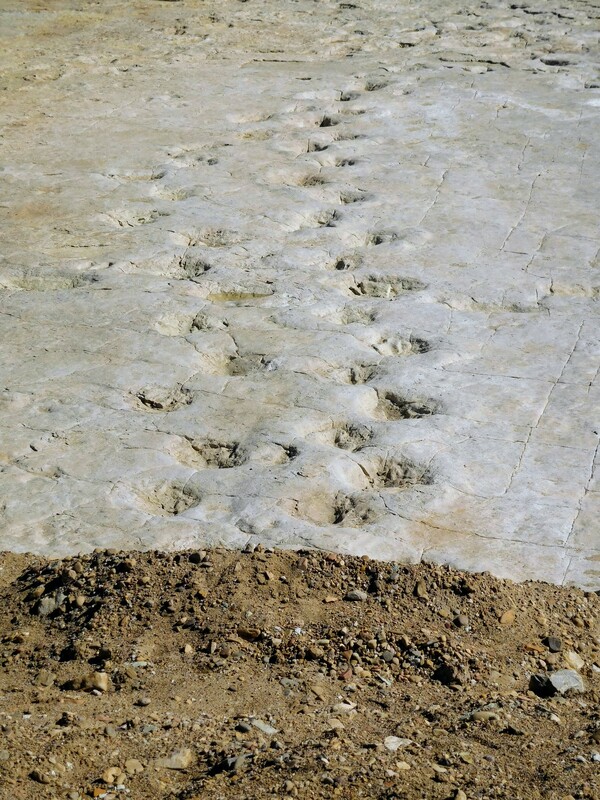 Apatosaurus and Allosaurus are two types of dinosaurs that left prints in the mud over 150 million years ago. 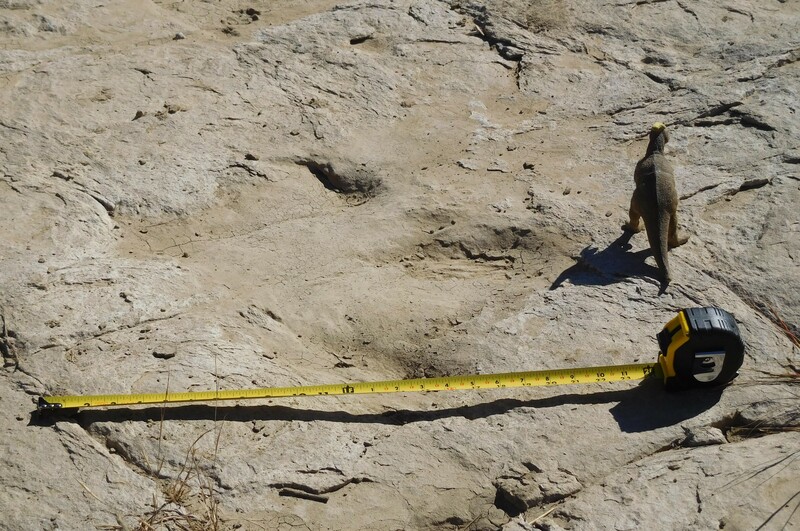 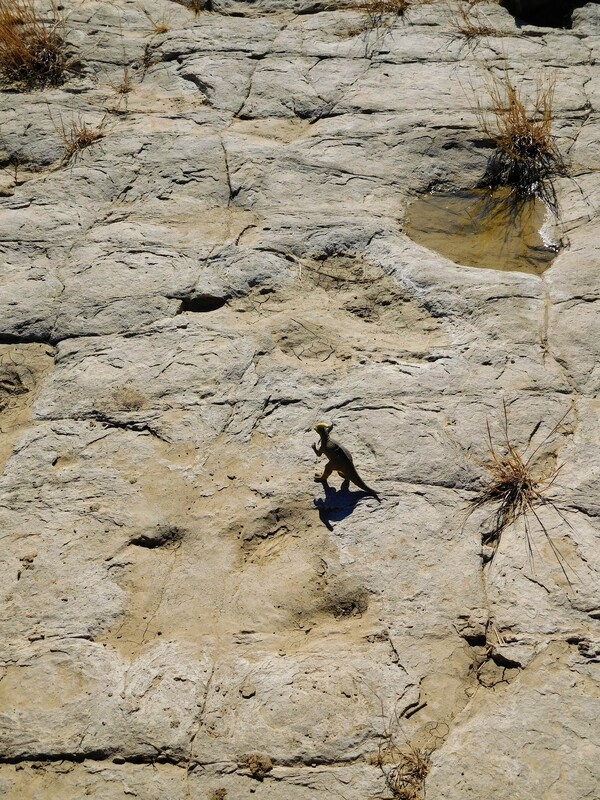 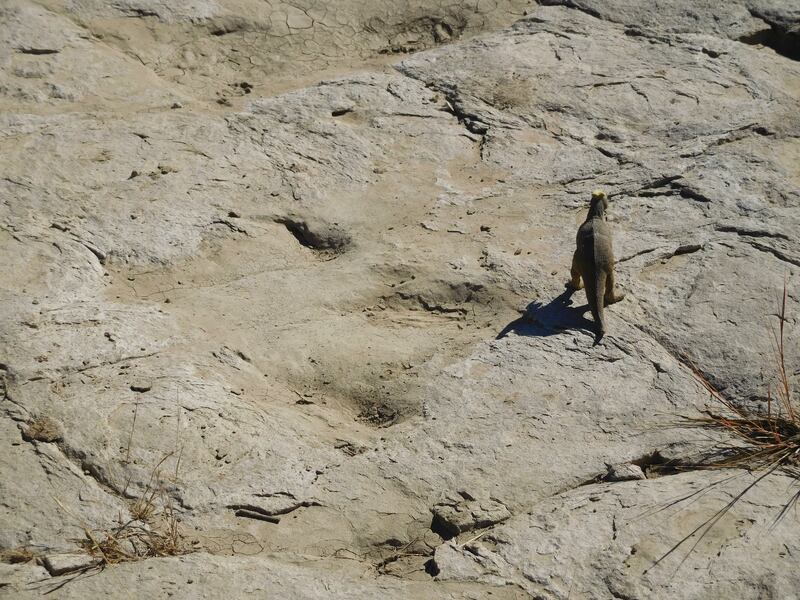 This tracksite has given scientists interesting insights into the social behavior of dinosaurs. 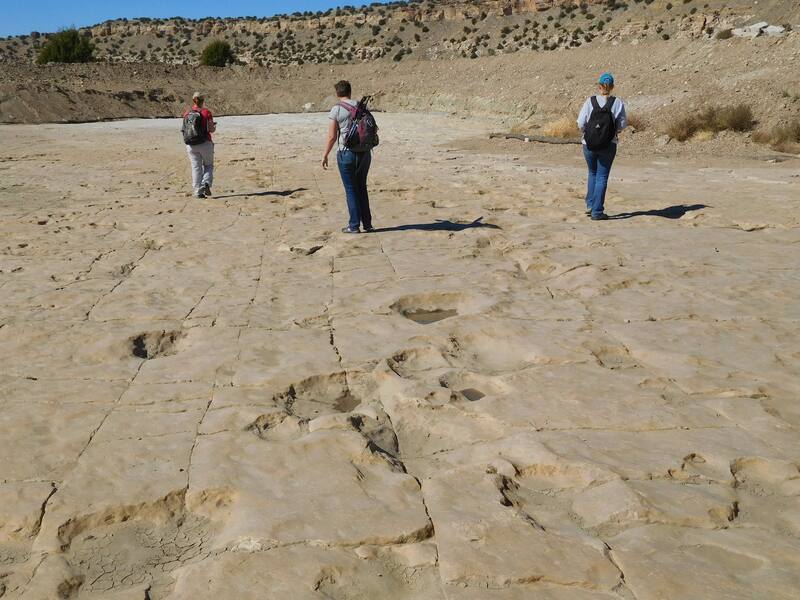 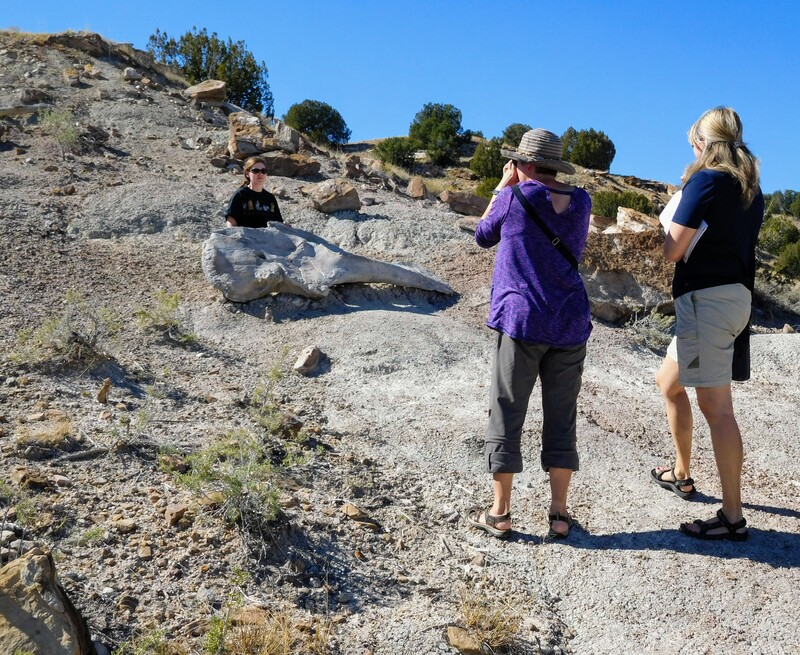 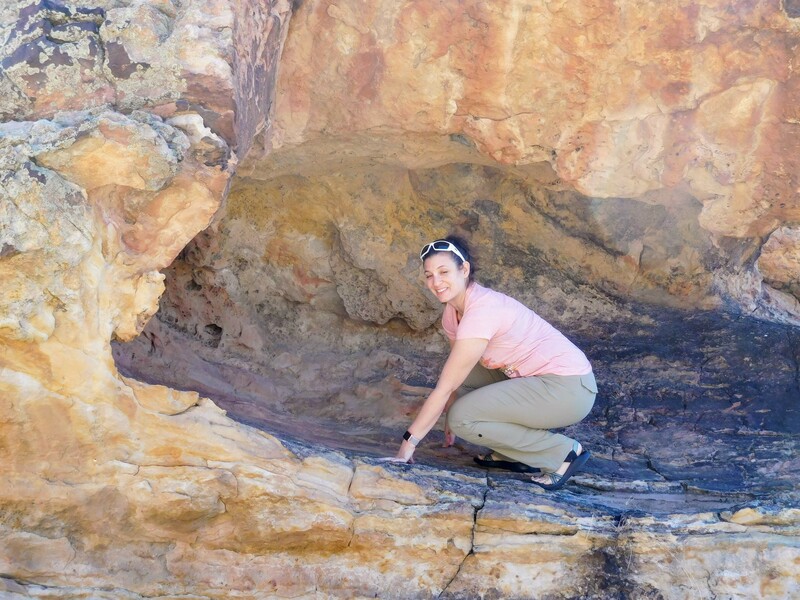 Tour guides will tell you what scientists have learned and show you difficult to find small tracks made by a carnivorous dinosaur or theropod. 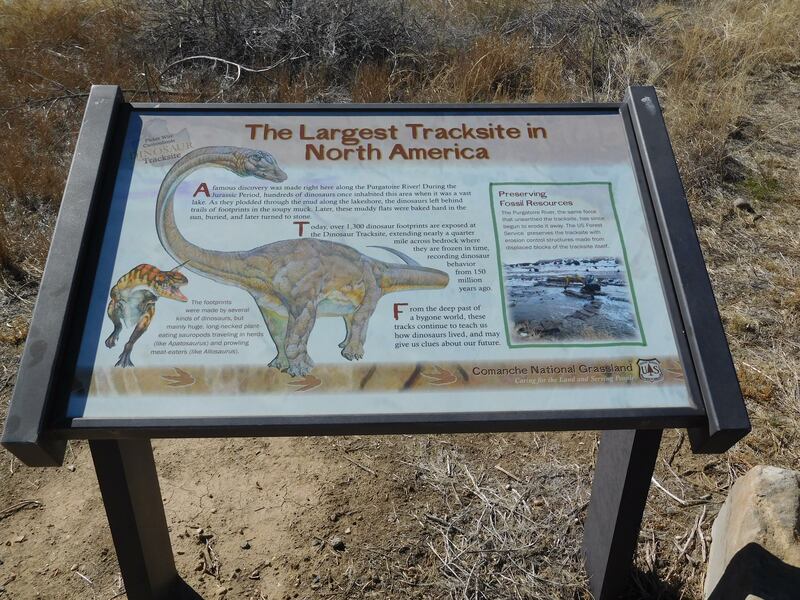 Without a guide you will miss the whole story of the tracksite! 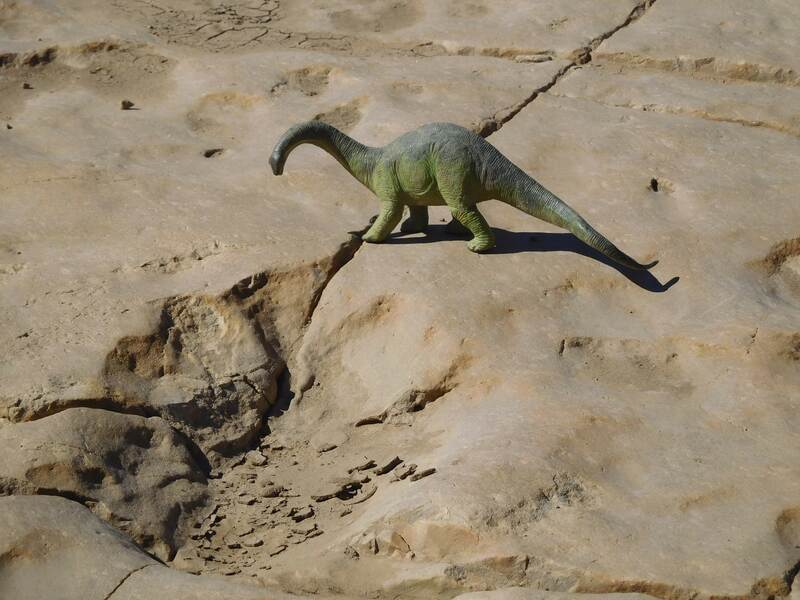 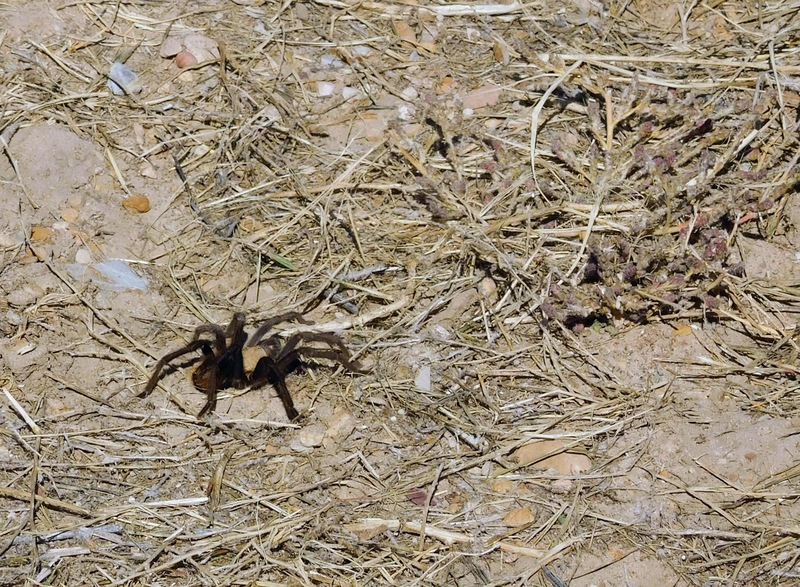 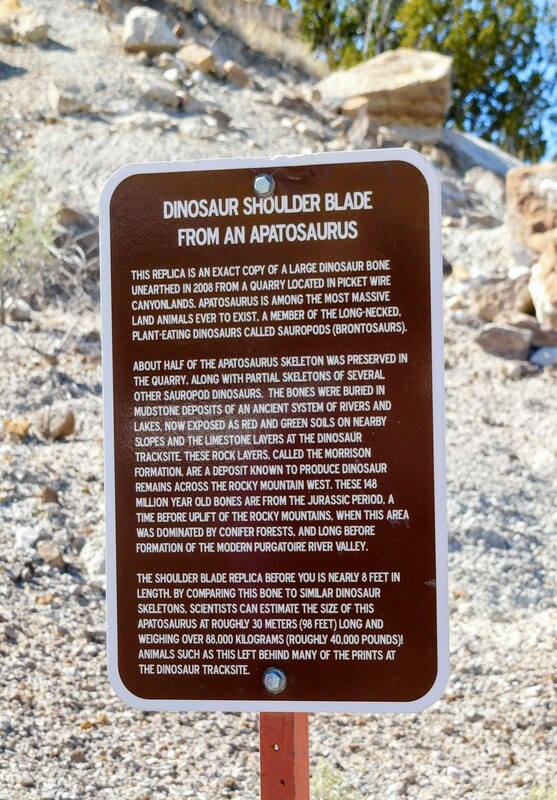 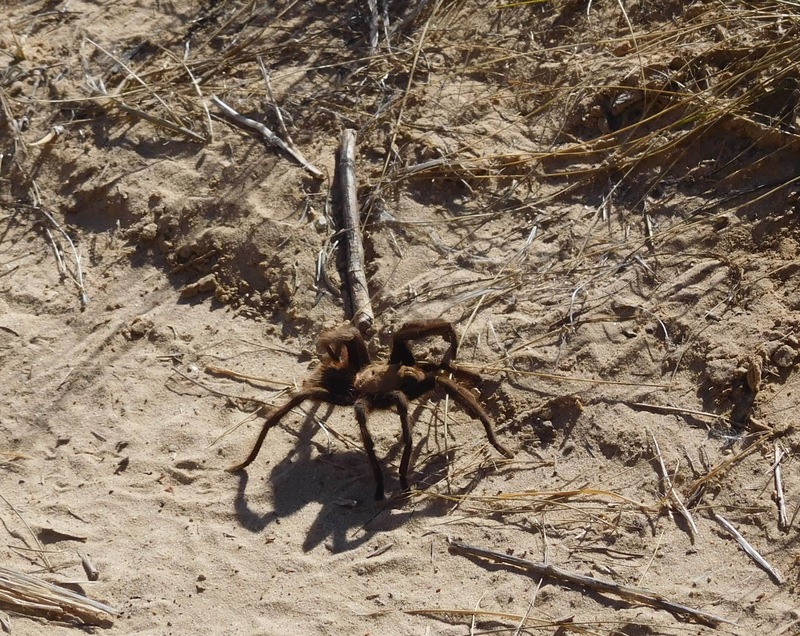 Those huge dinosaurs weren’t the only prehistoric visitors to the canyons. 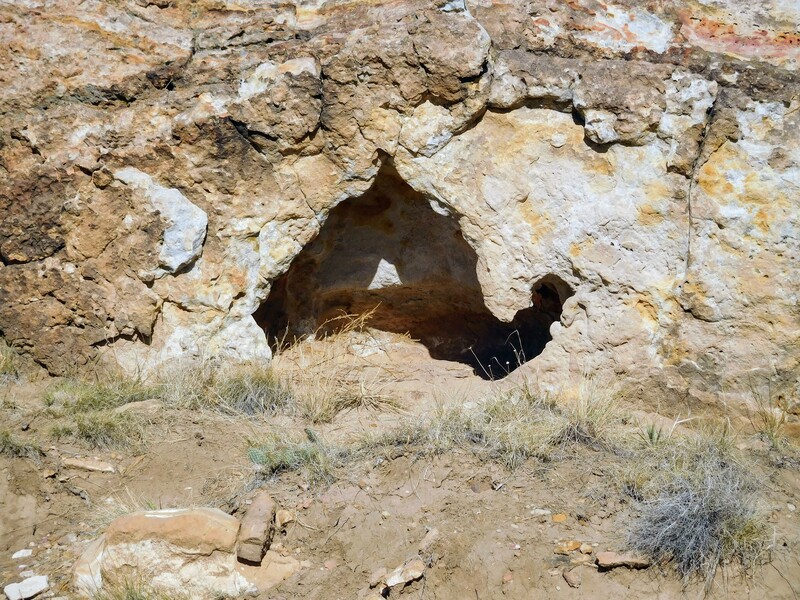 Rock art images, together with the remains of dwellings, stone tools, and pottery, shed light on the lives of prehistoric people. 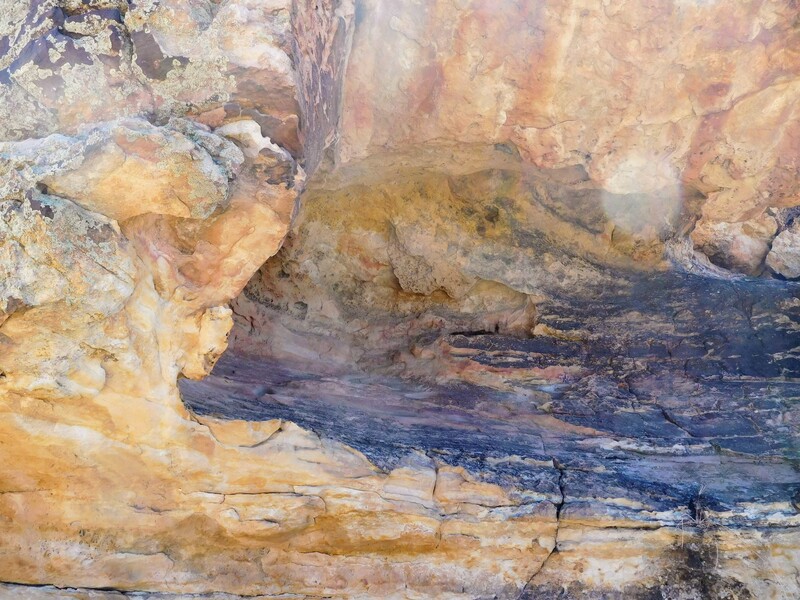 Rock Art is the term used to describe images pecked or painted on rock surfaces by prehistoric people. 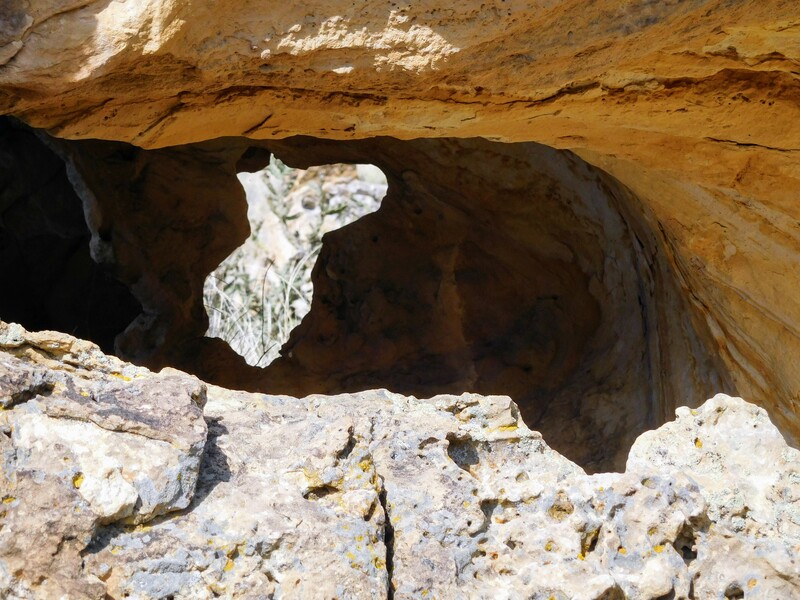 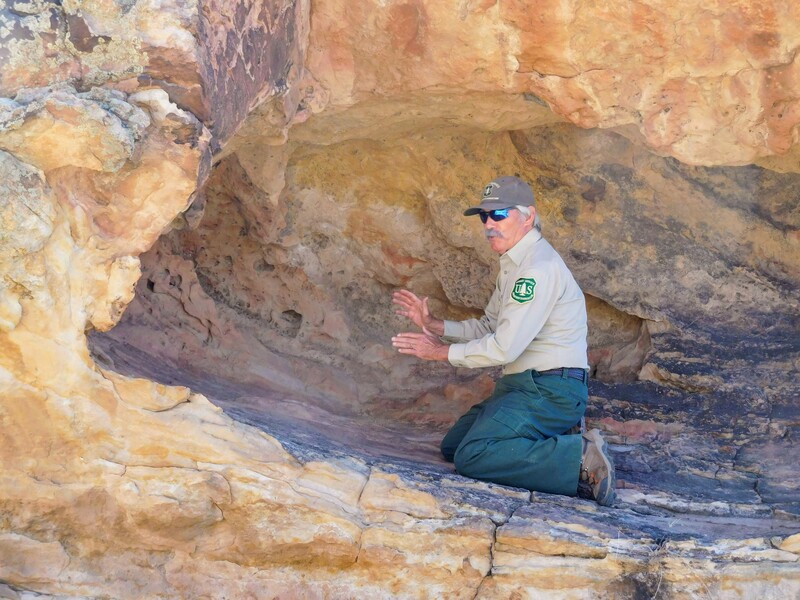 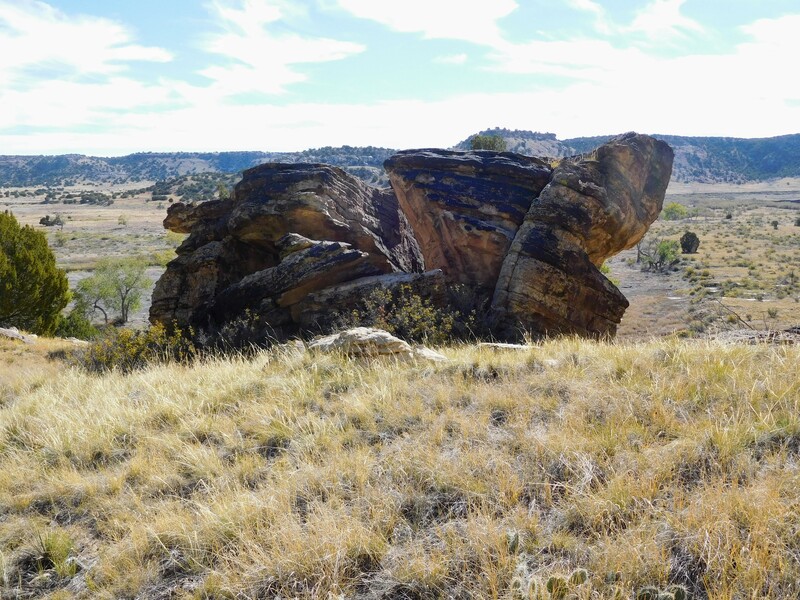 Rock art can be difficult to find but guides will take you to some of the best sites in the canyons. 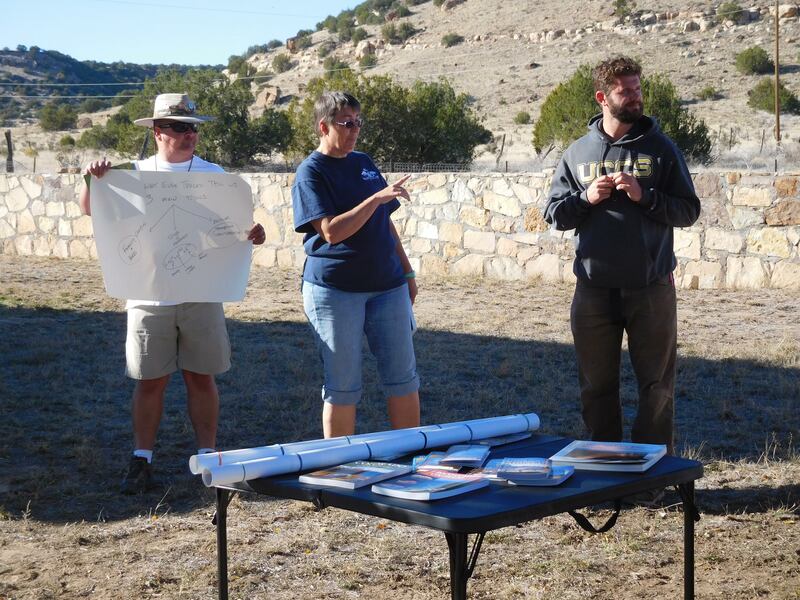 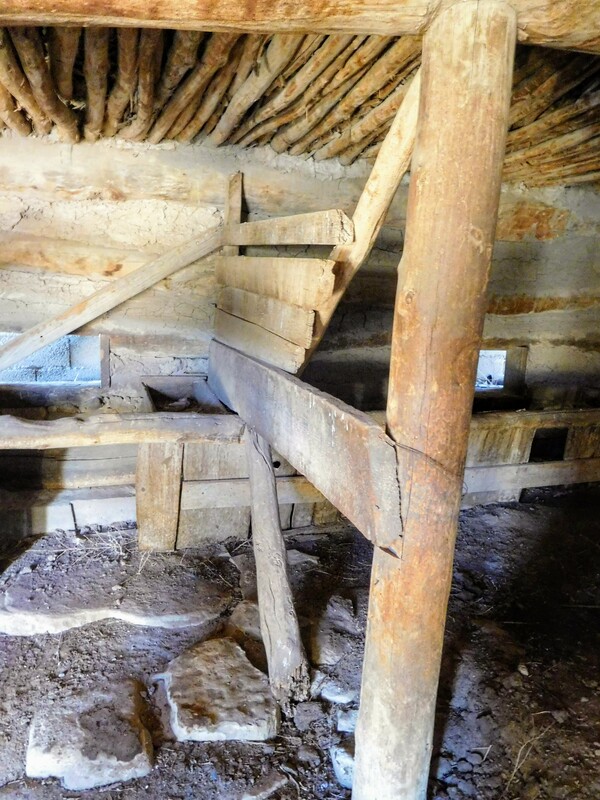 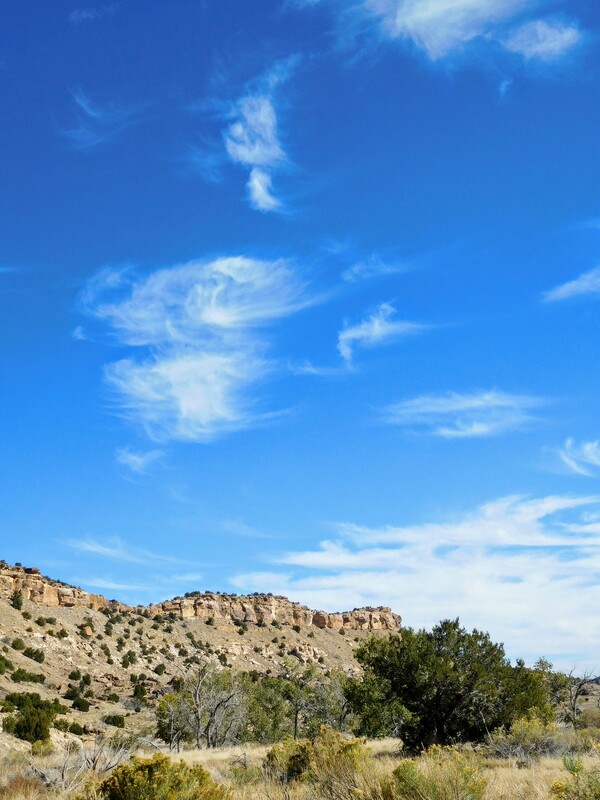 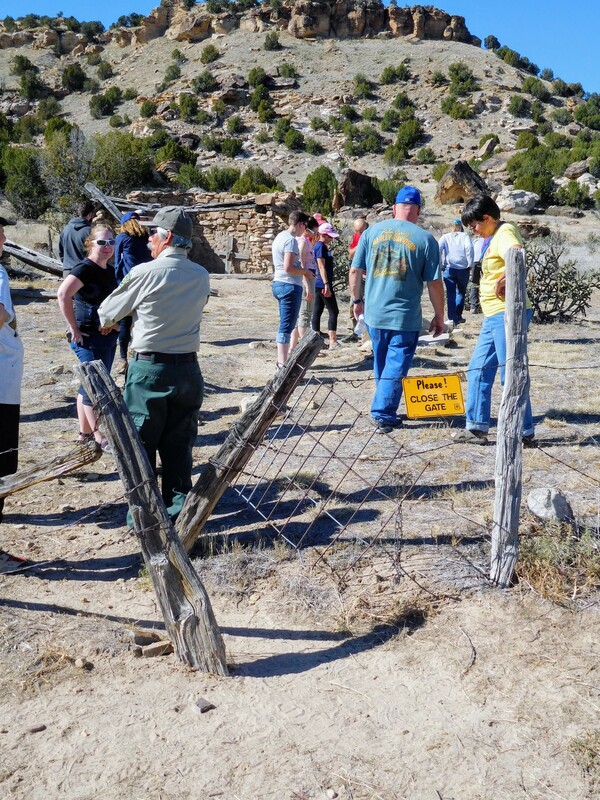 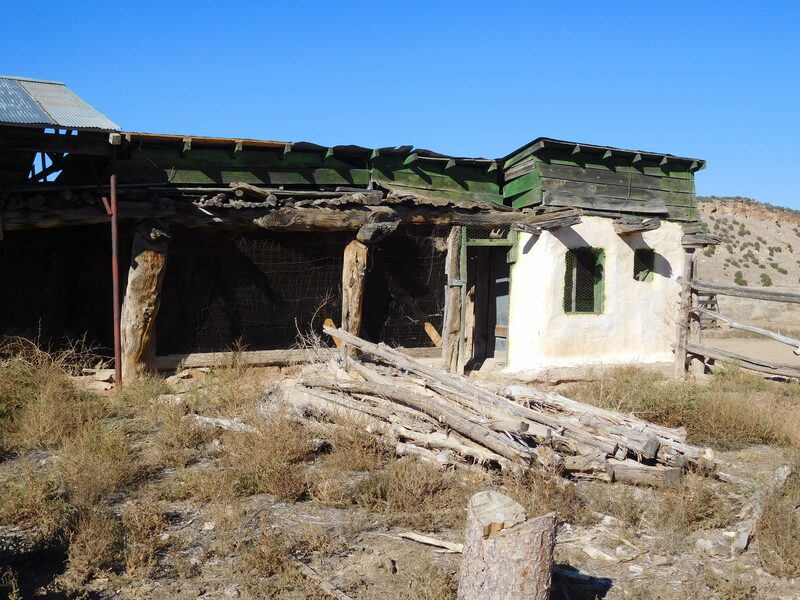 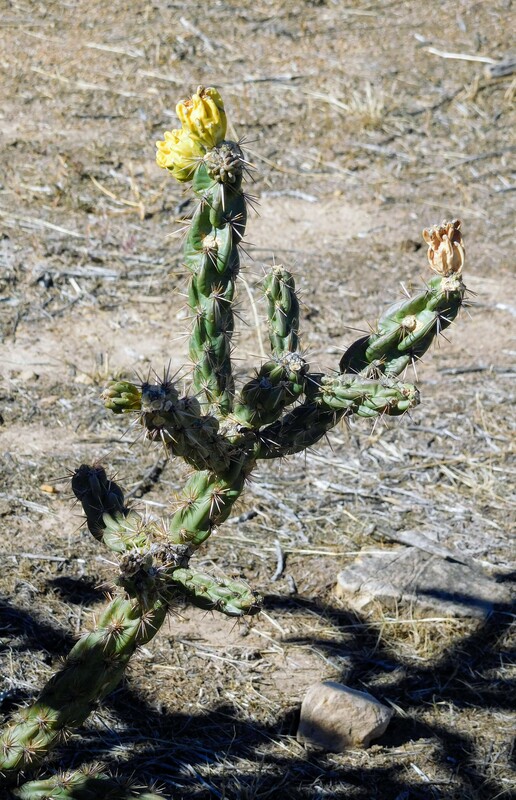 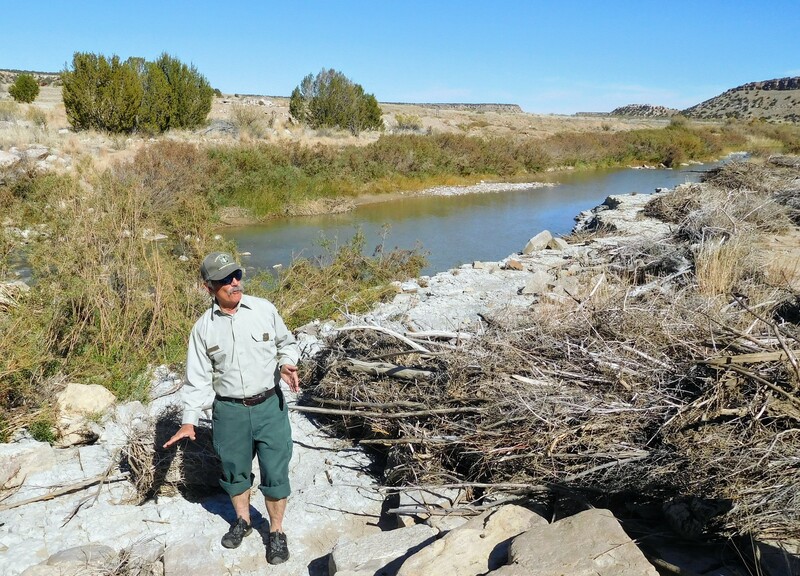 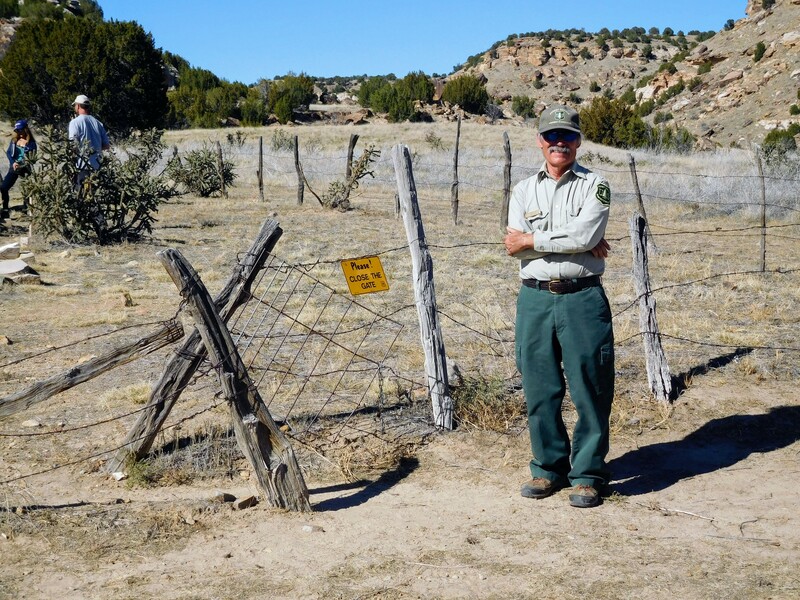 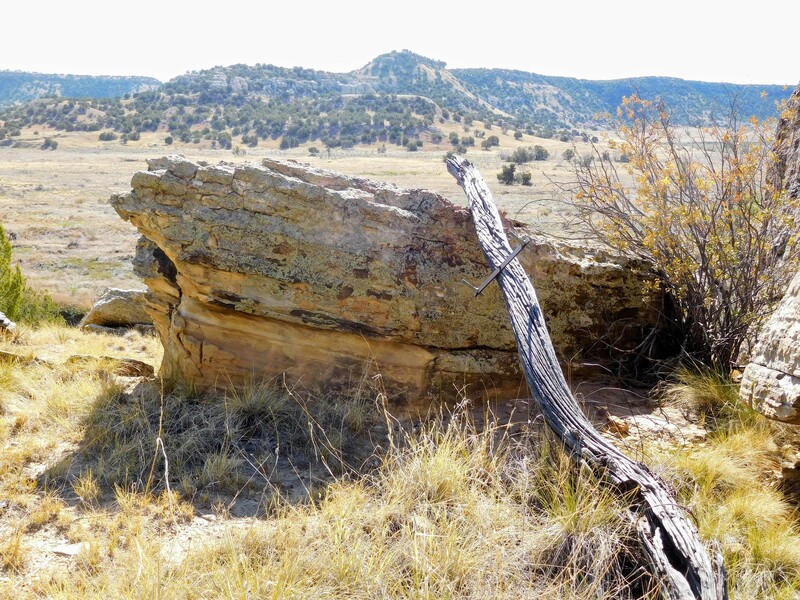 In the 19th century, Hispanic and European settlers homesteaded in Picket Wire Canyonlands. 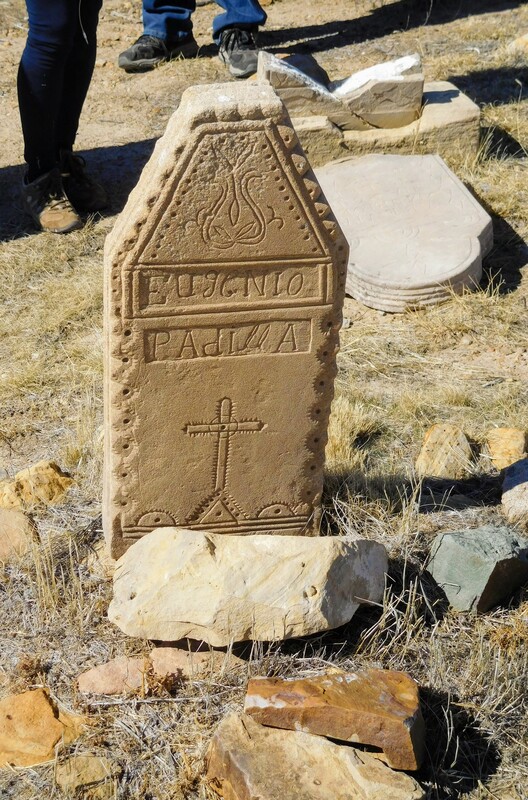 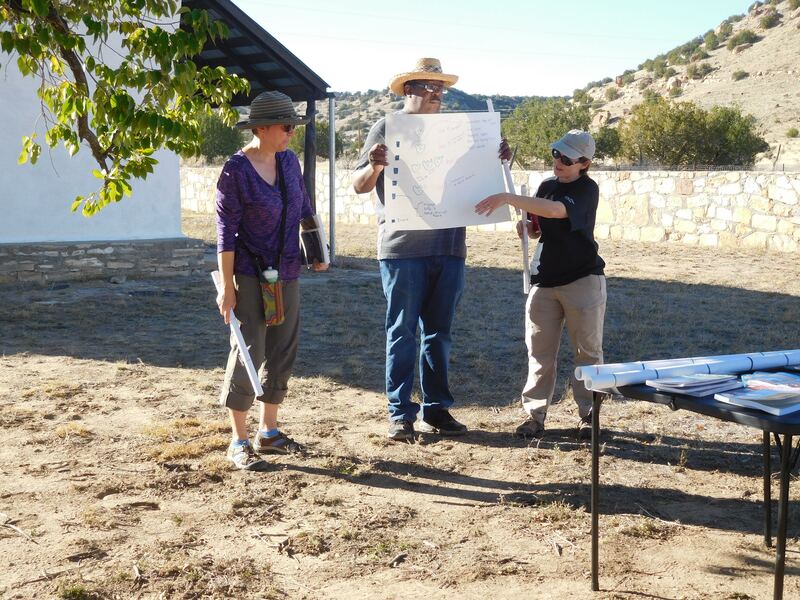 Guides will take you to an early Catholic Church and cemetery, which was built on land donated by Damacio Lopez. 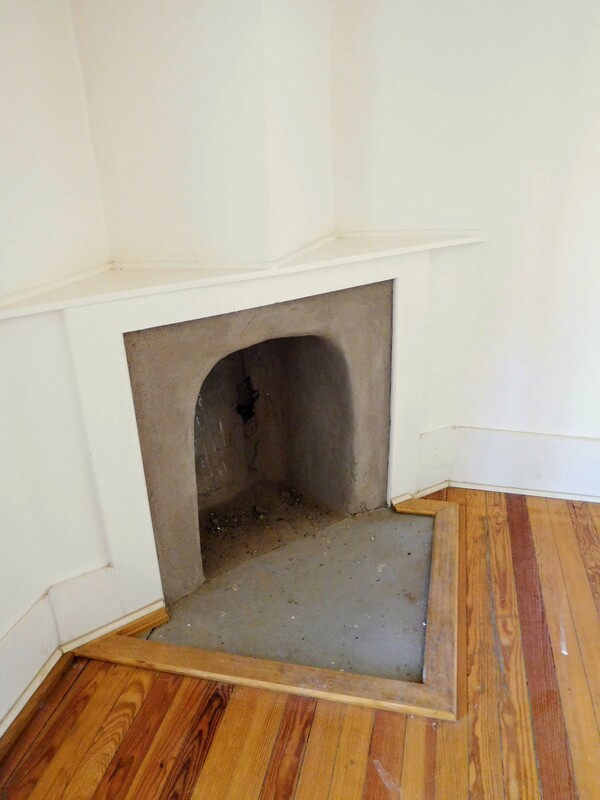 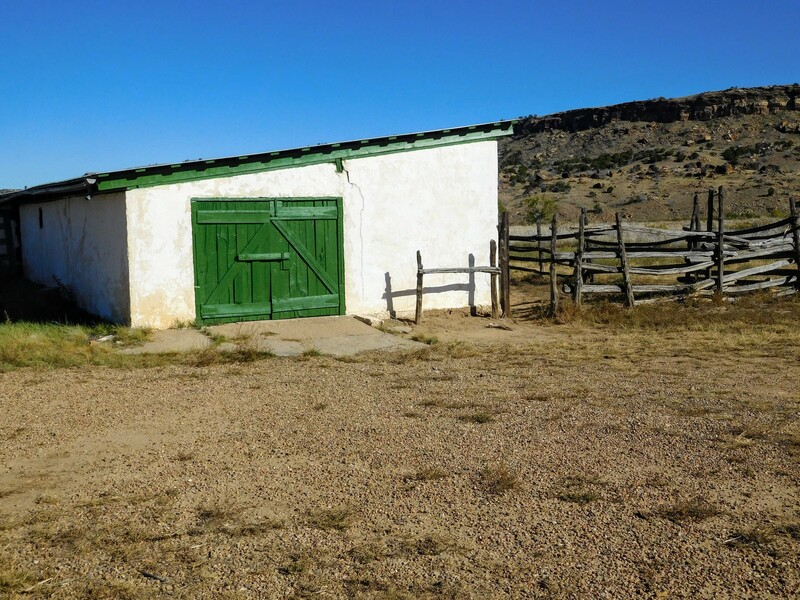 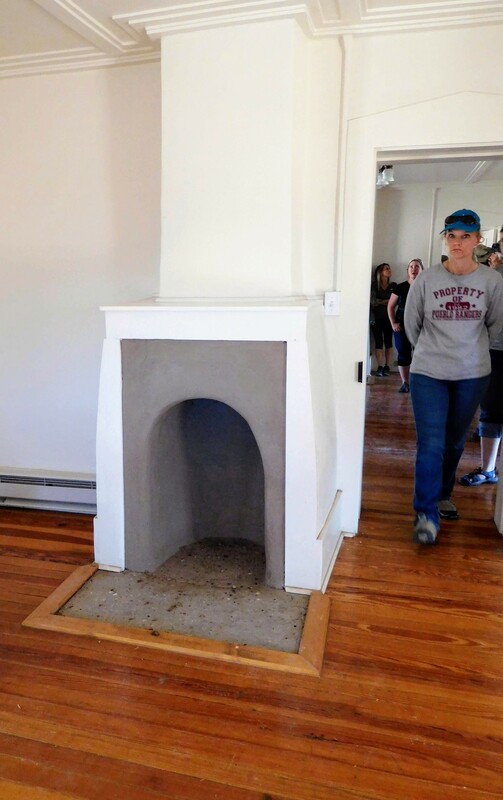 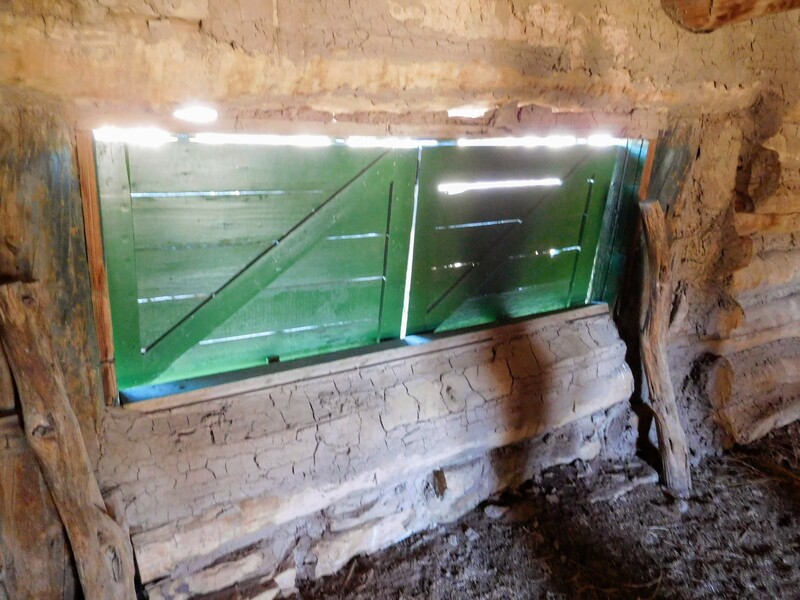 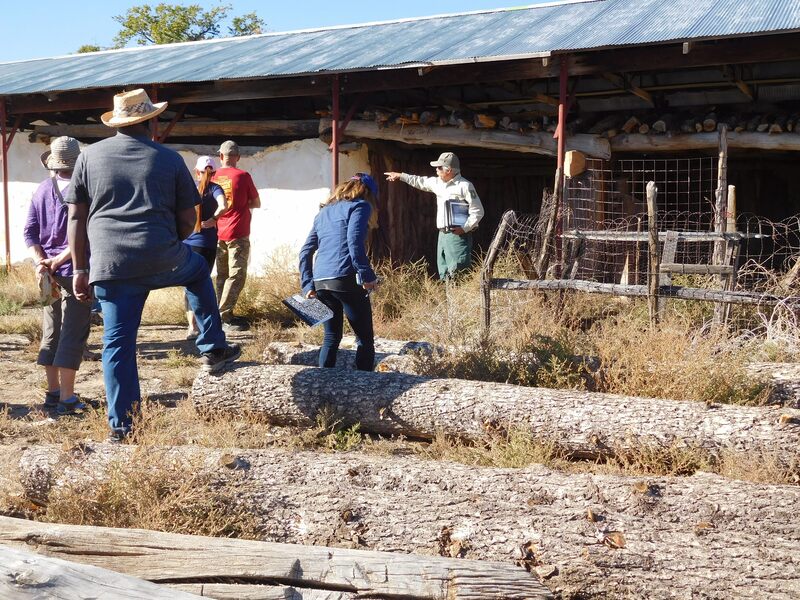 You will also visit Rourke Ranch, which is on the National Register of Historic Places, and learn how pioneer Eugene Rourke’s ranch grew from a 160-acre homestead in the late 1800s to an over 50,000-acre cattle empire still owned by the Rourke family into the 1970s.